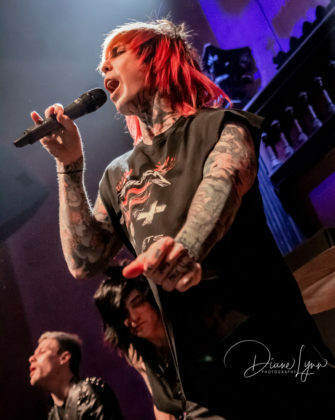 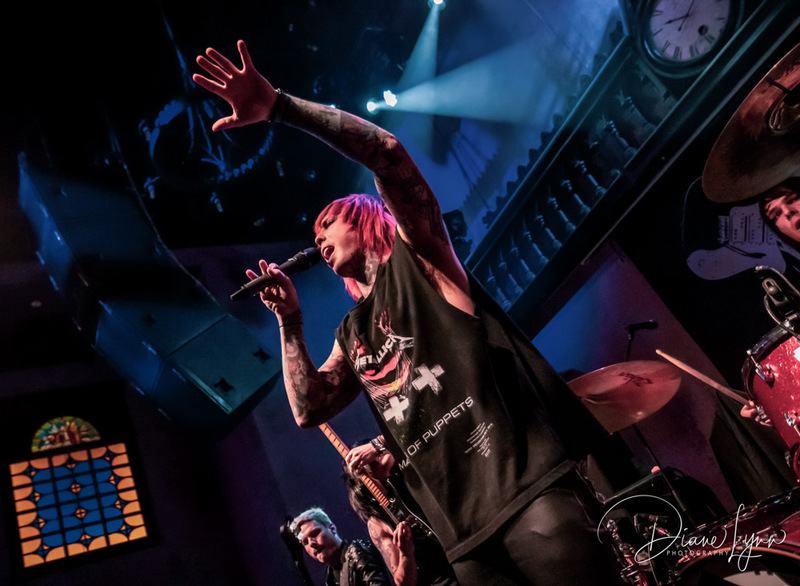 This was my first time seeing a concert inside The Parish at the House of Blues Anaheim and it was definitely close quarters for this Sold Out Show! 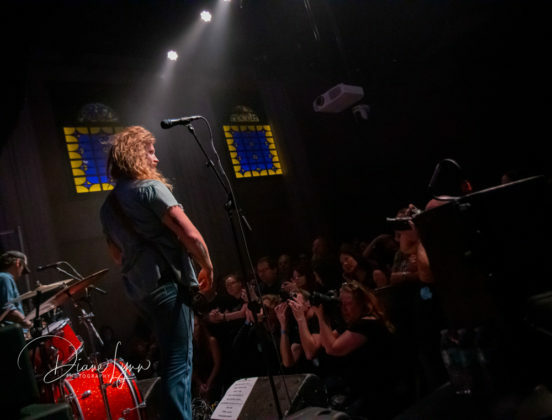 The venue size made it perfect for an intimate feel for this “grand” show. 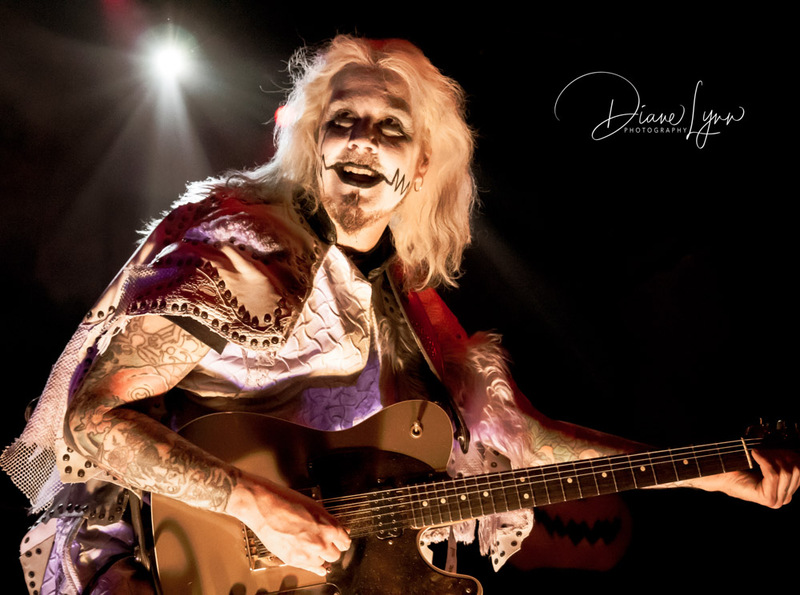 Just me, John 5 and 400+ of our closest friends. 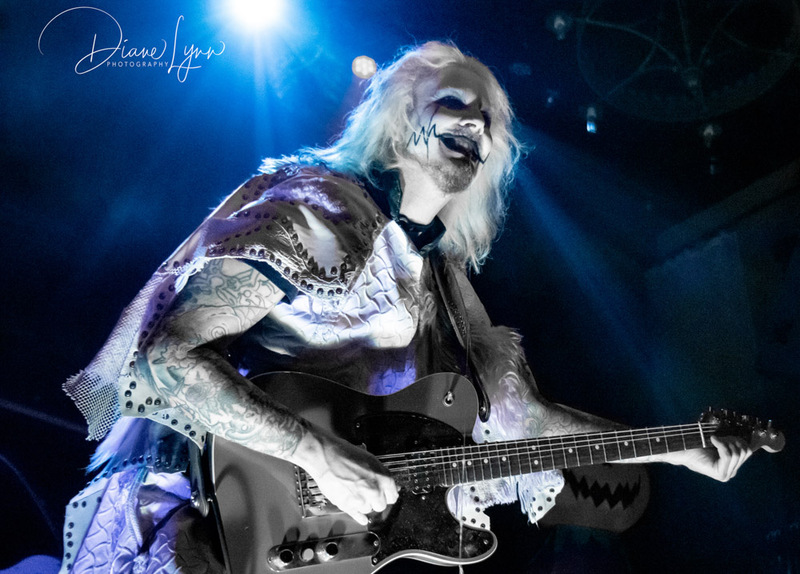 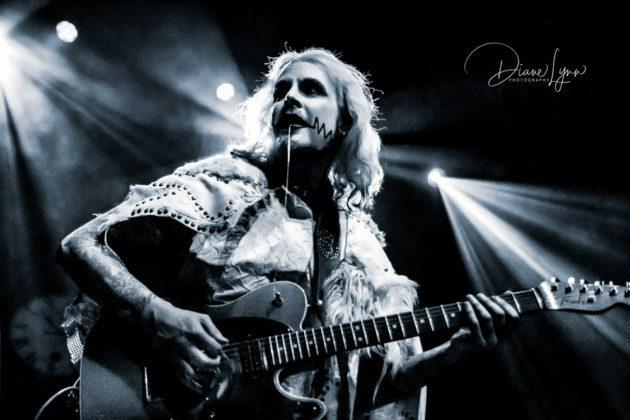 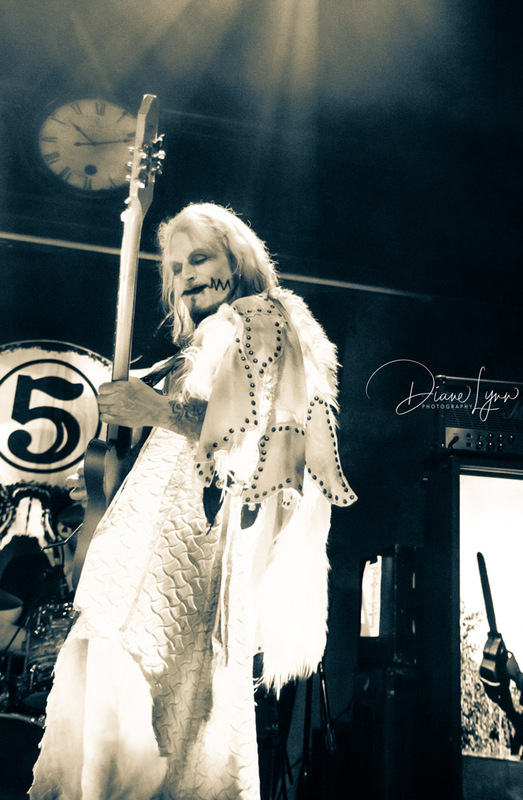 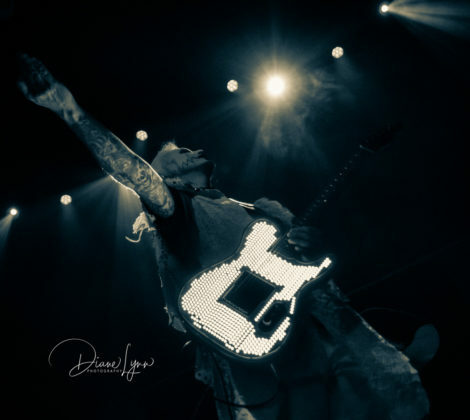 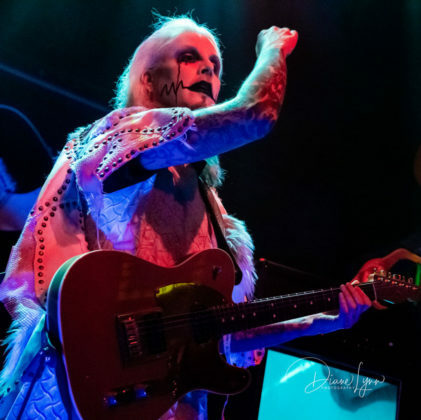 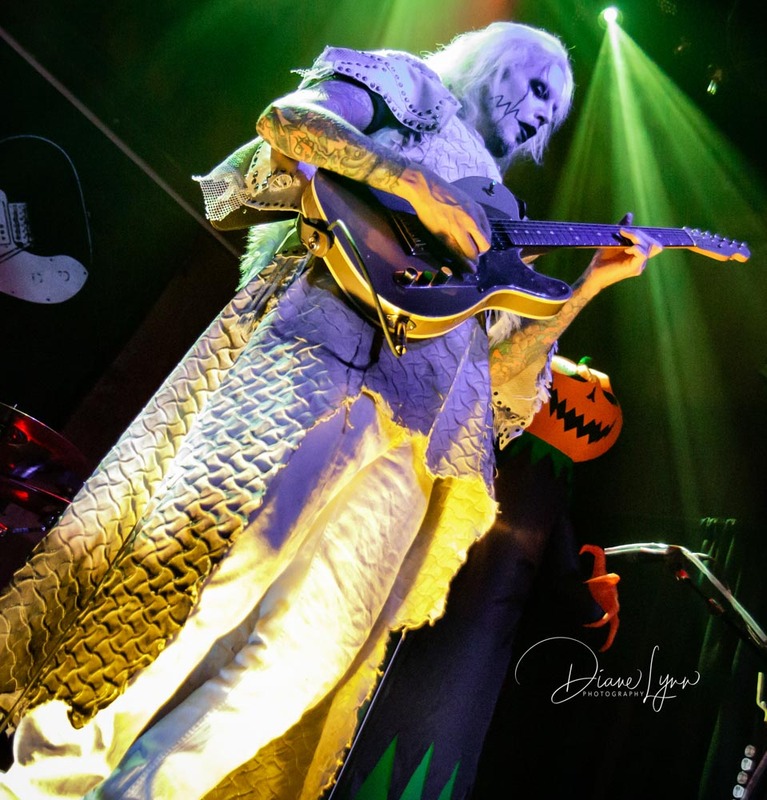 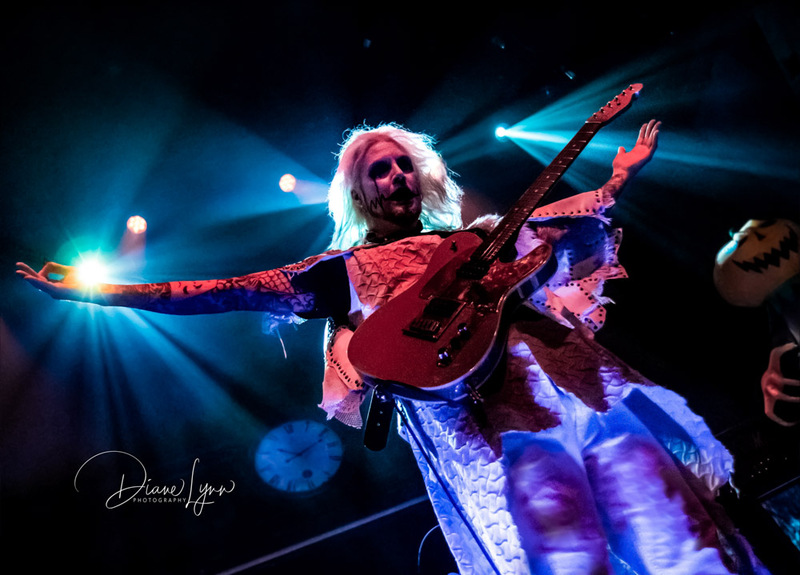 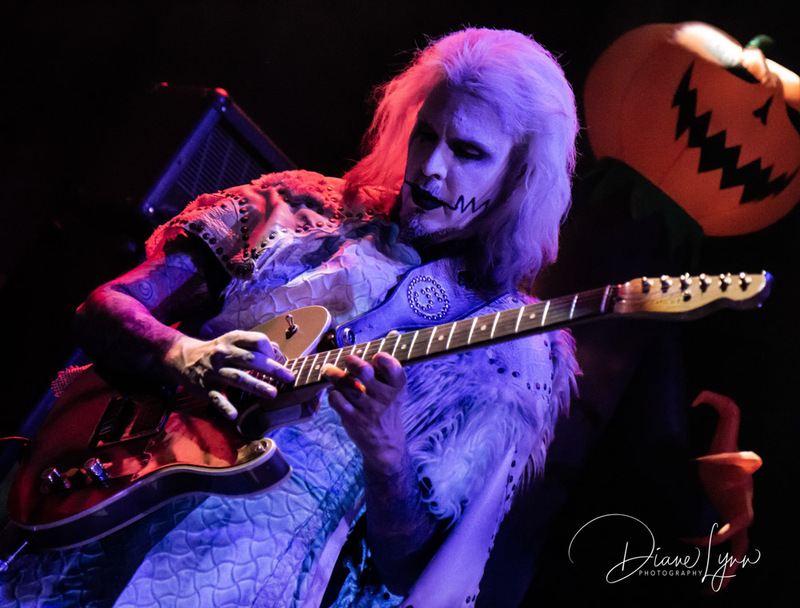 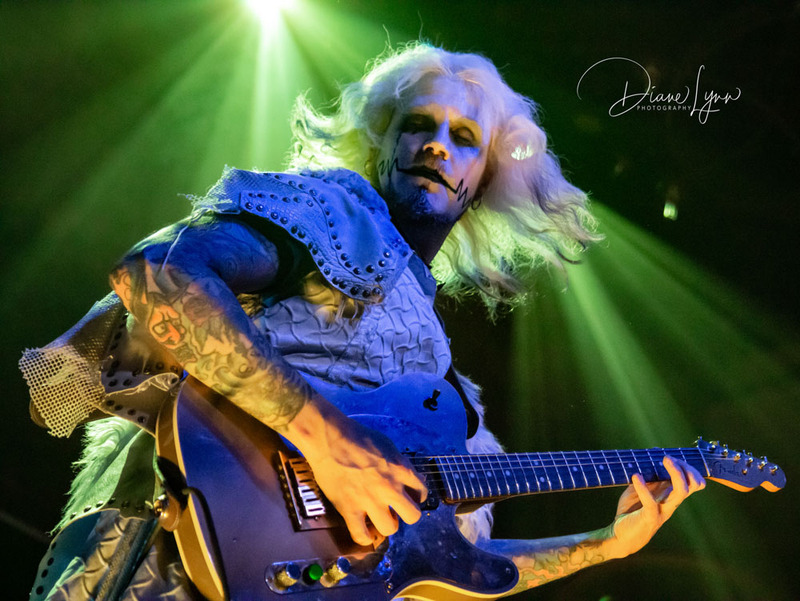 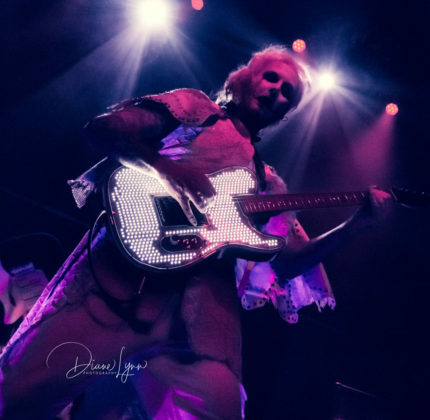 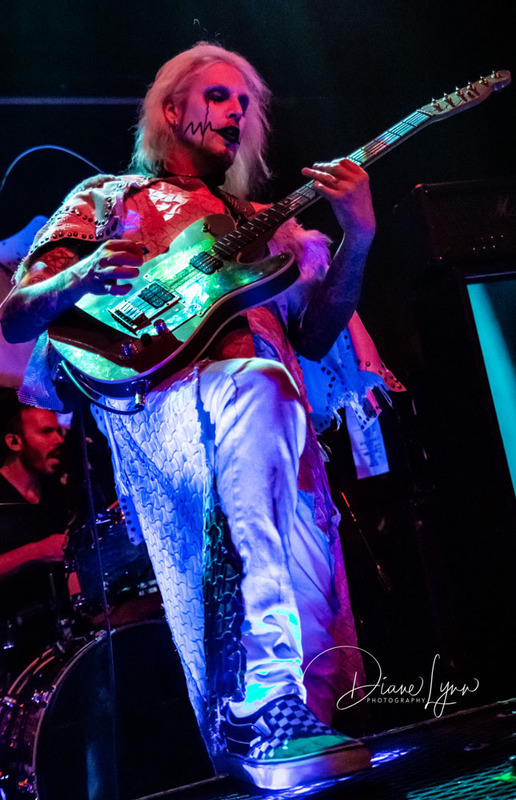 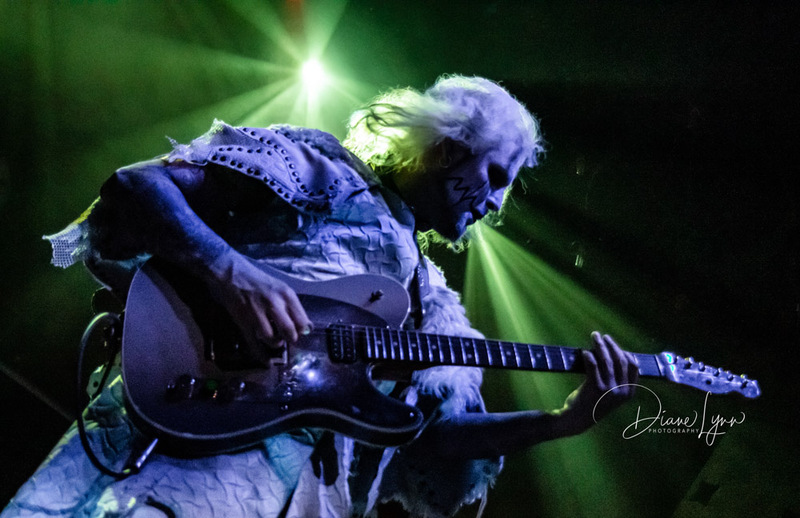 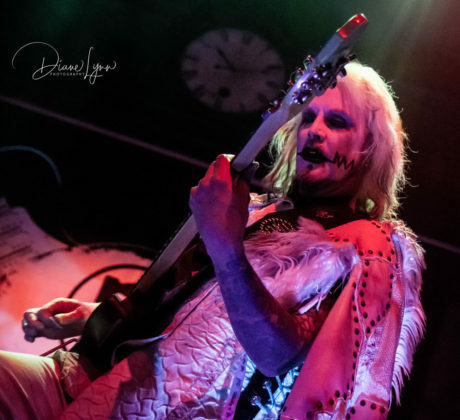 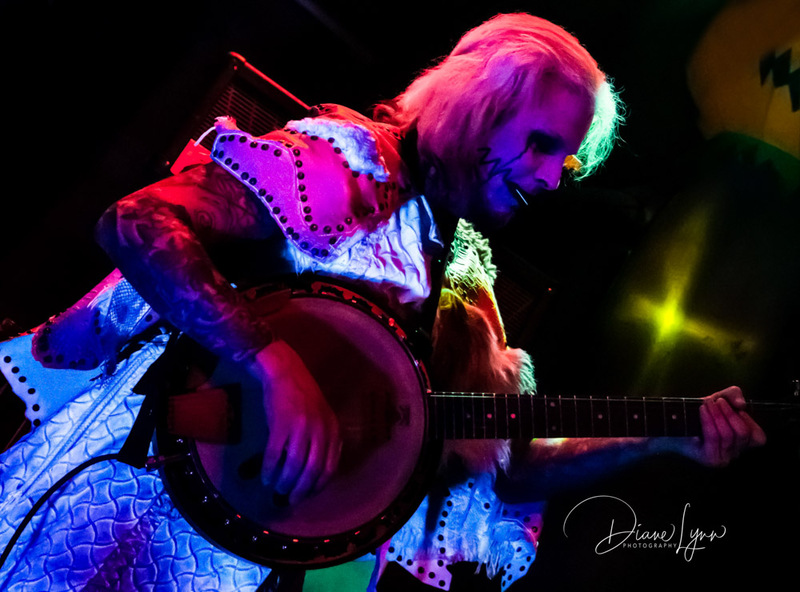 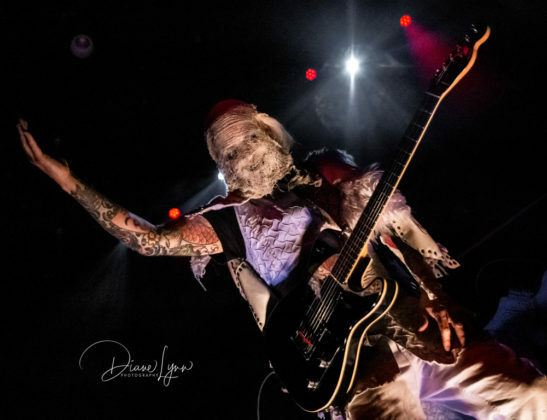 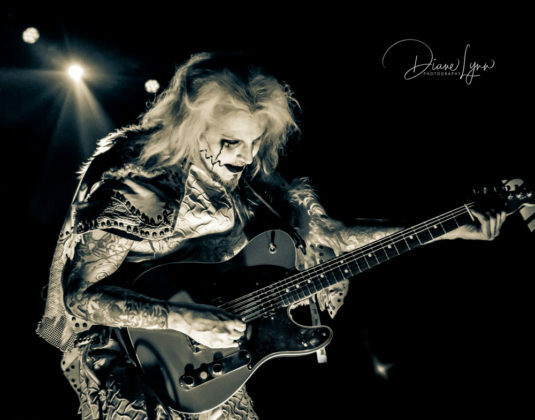 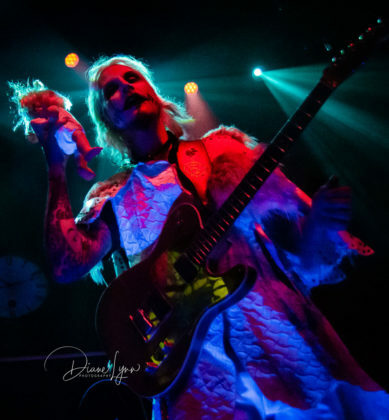 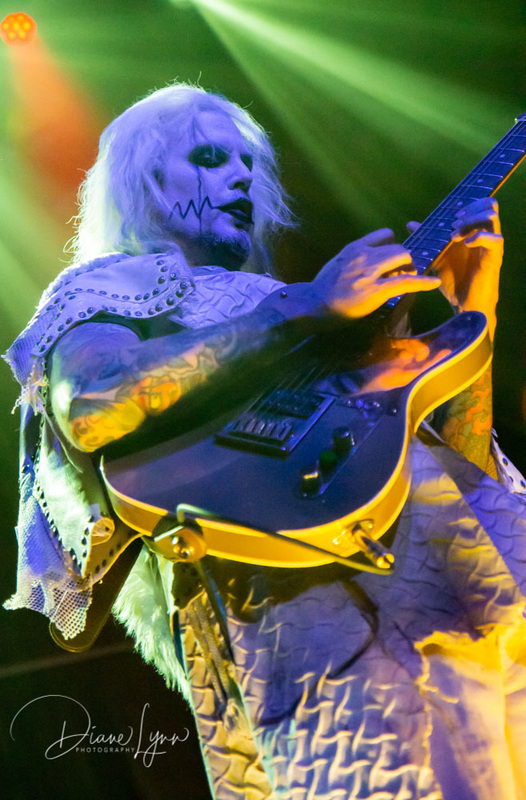 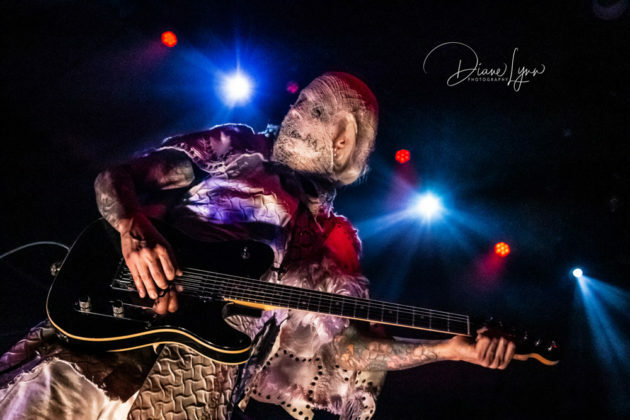 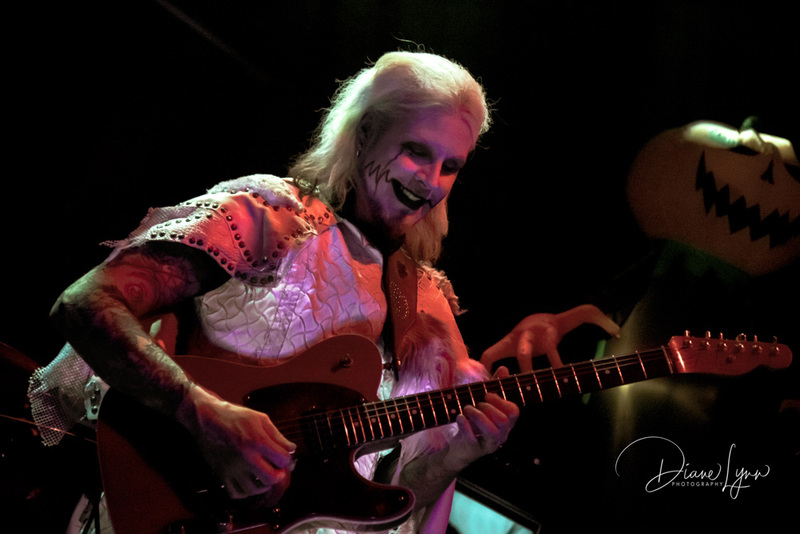 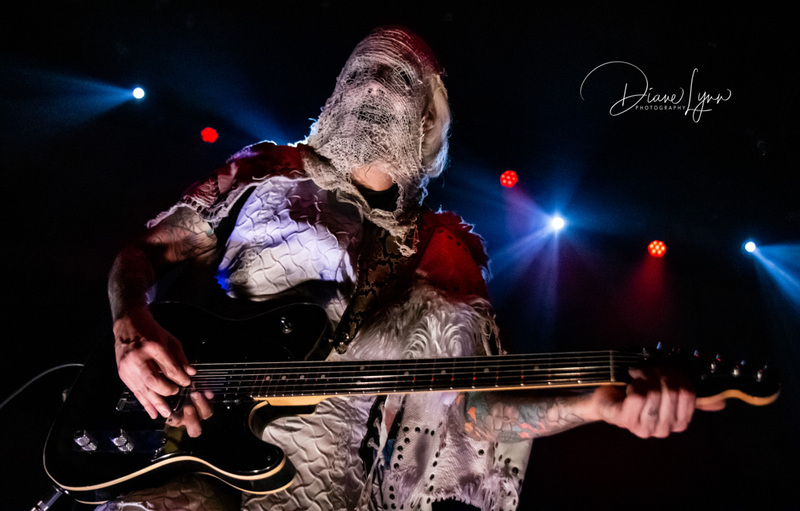 It was also my first-time seeing John 5 in concert and having the opportunity to photograph him was the icing on the cake. 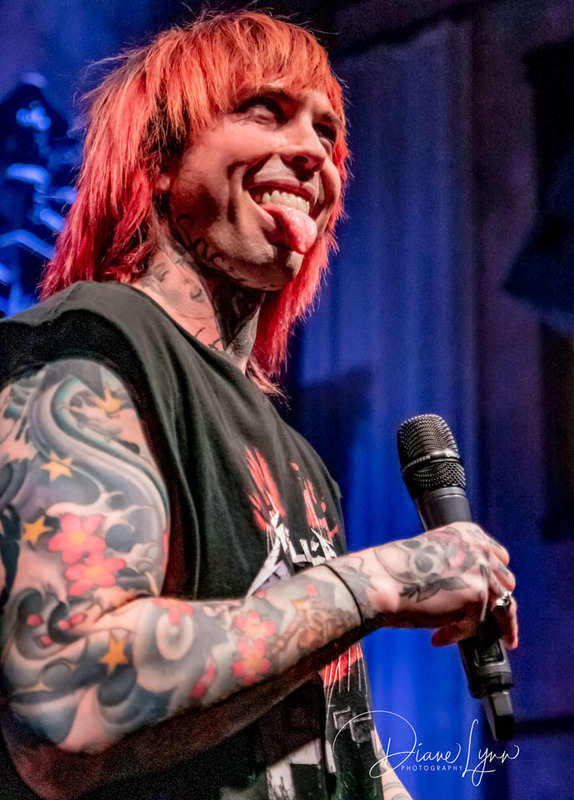 I’ve watched YouTube videos of his shows before and was in awe of his talents, but seeing him live and up-close was so much more that I could have expected. 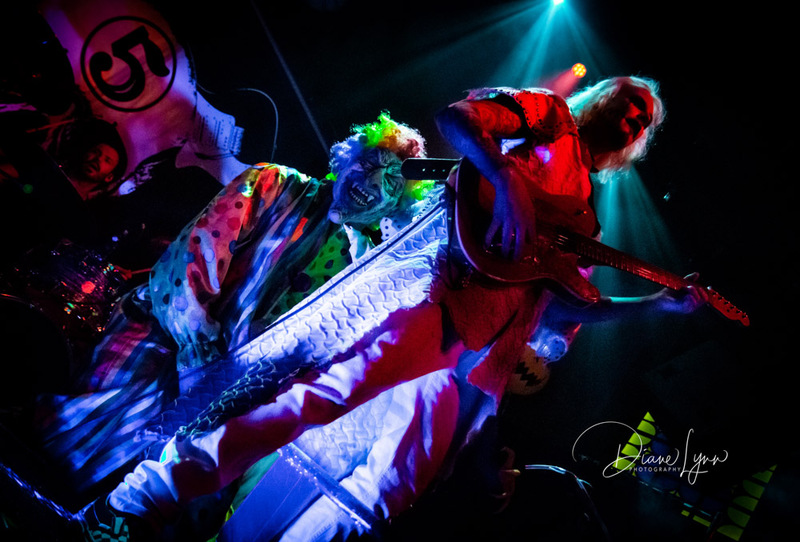 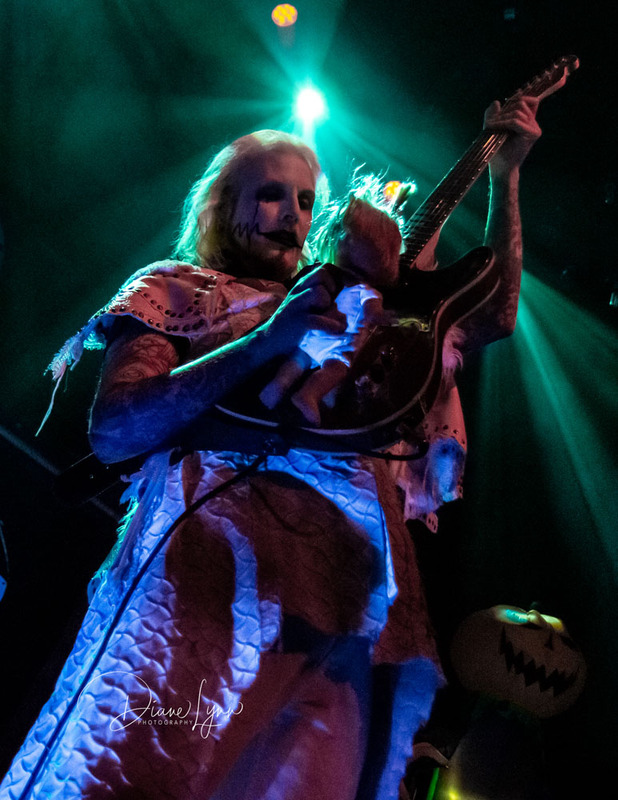 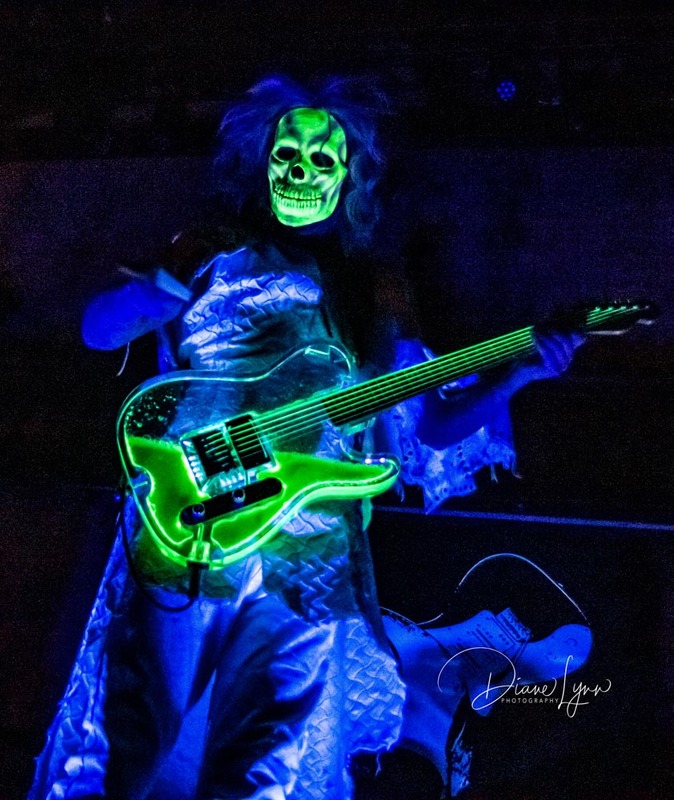 The stage for John 5 was set with an oversized inflatable witch and what appeared to be a giant size Pumpkin King. 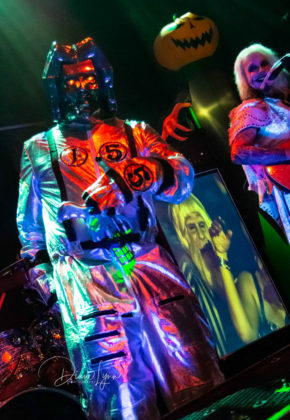 There were also two screens that showed clips of horror movies that I’m sure we all remembered. 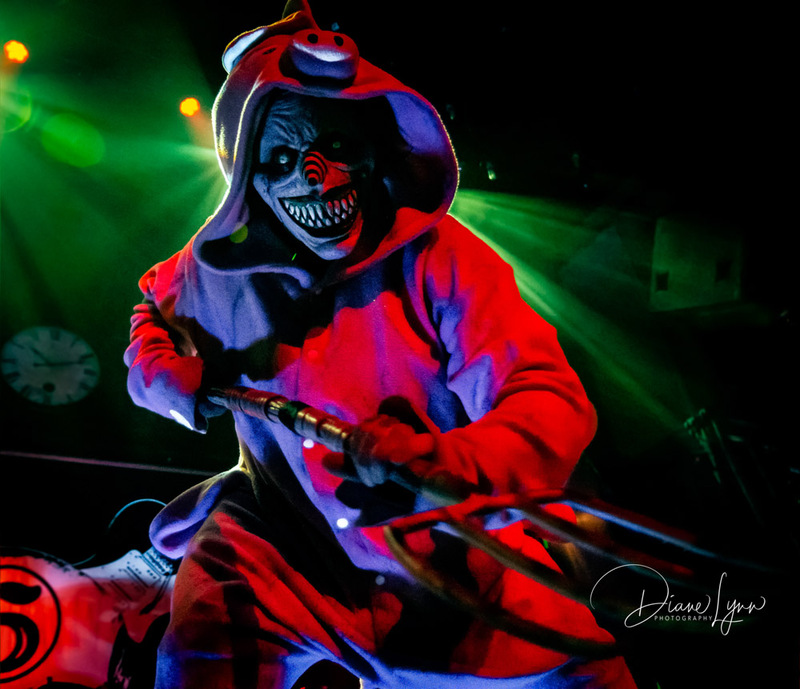 Clips from B–Horrors and classics such as The Shining and Friday the 13th. 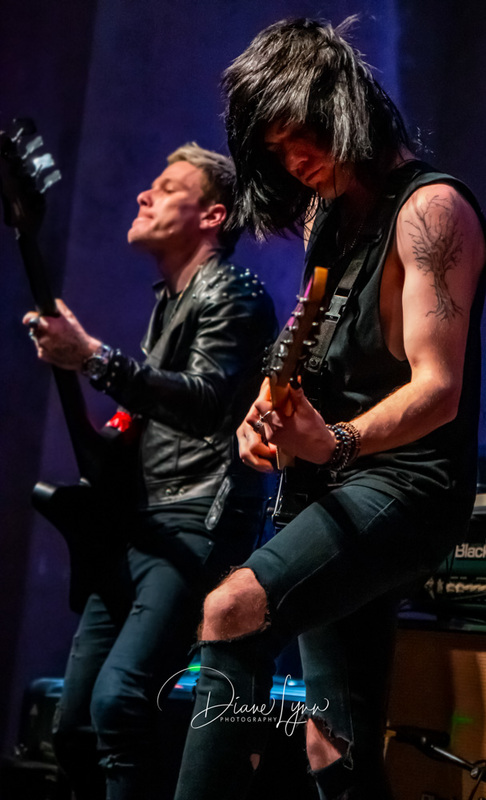 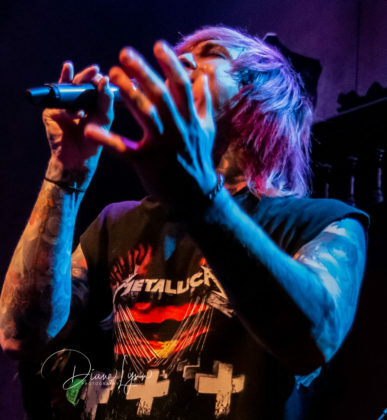 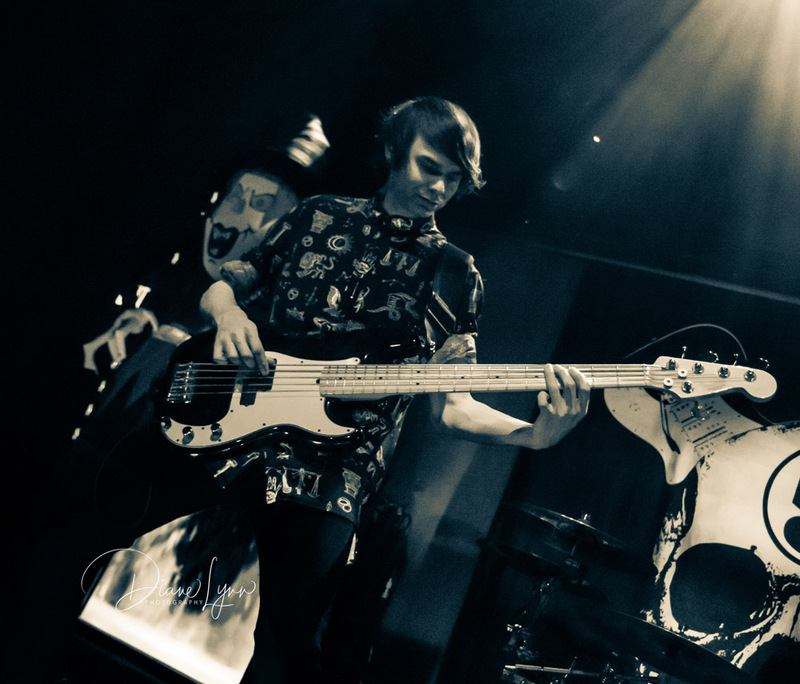 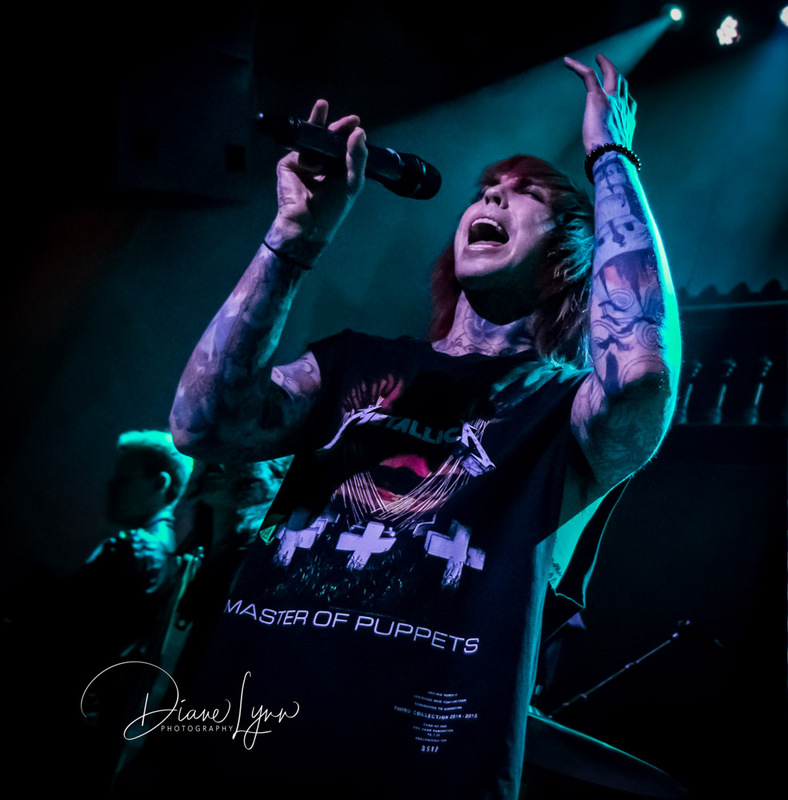 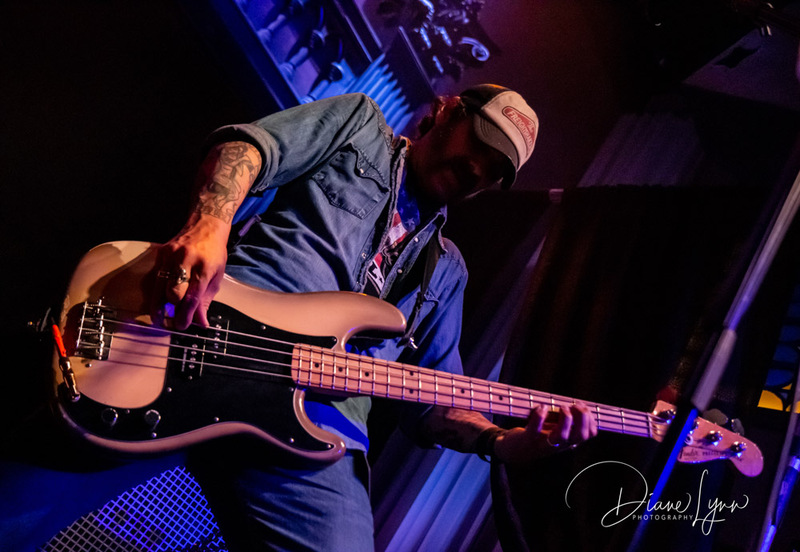 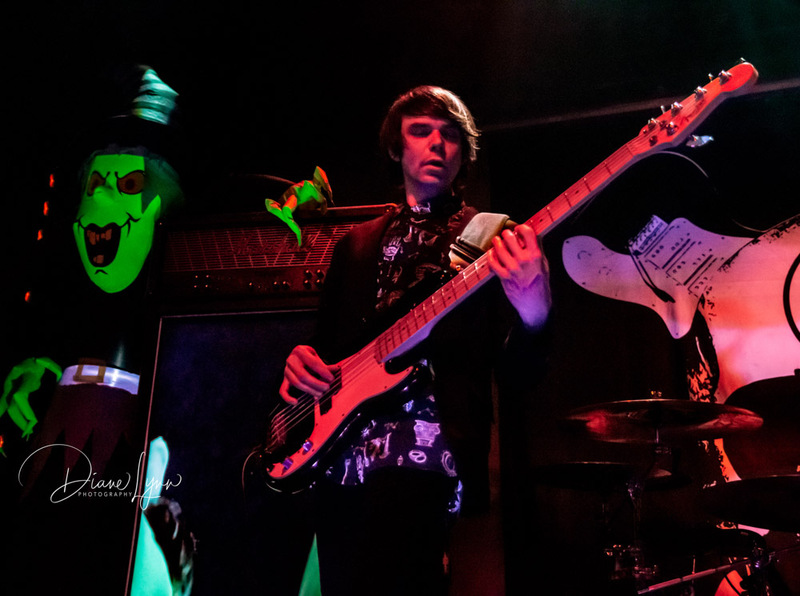 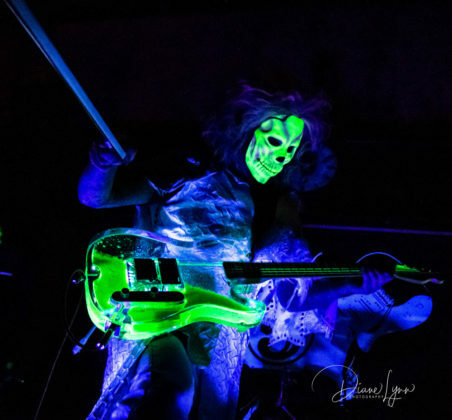 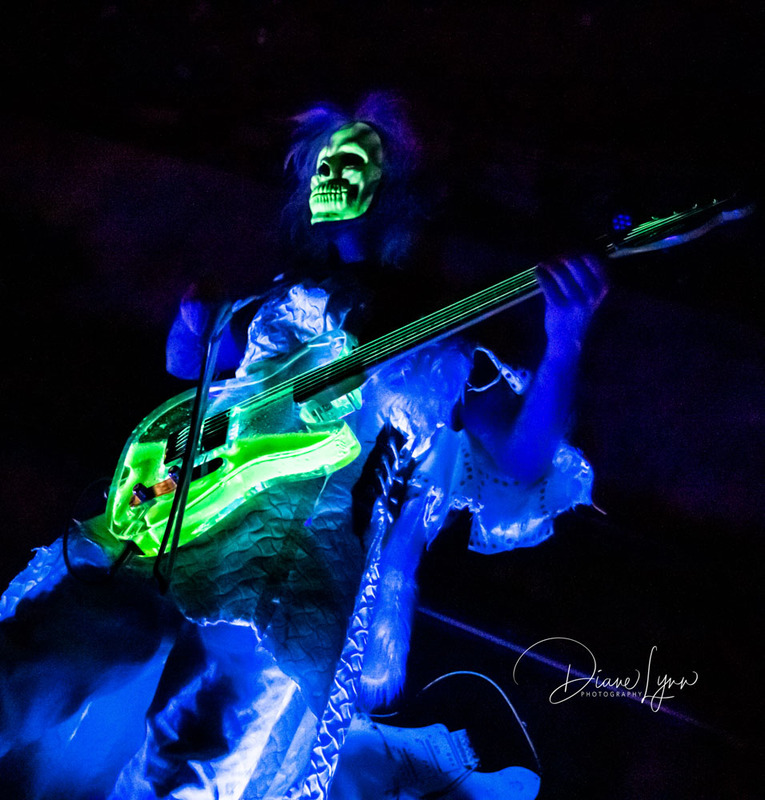 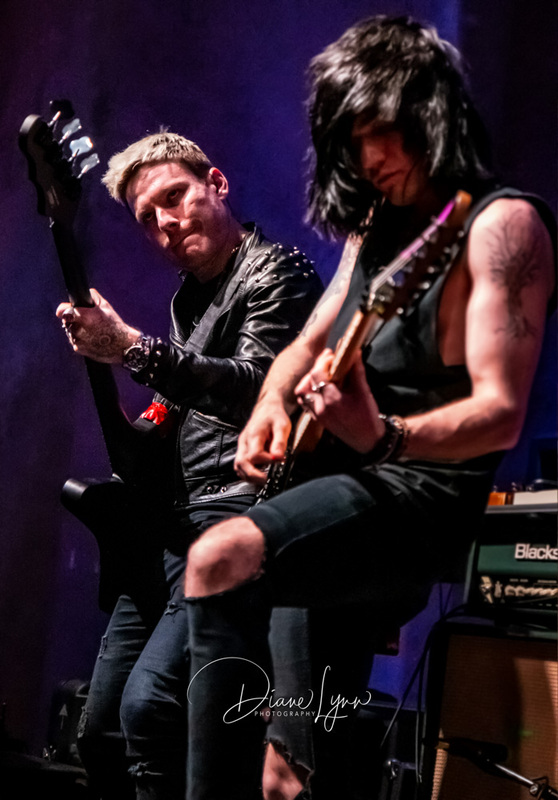 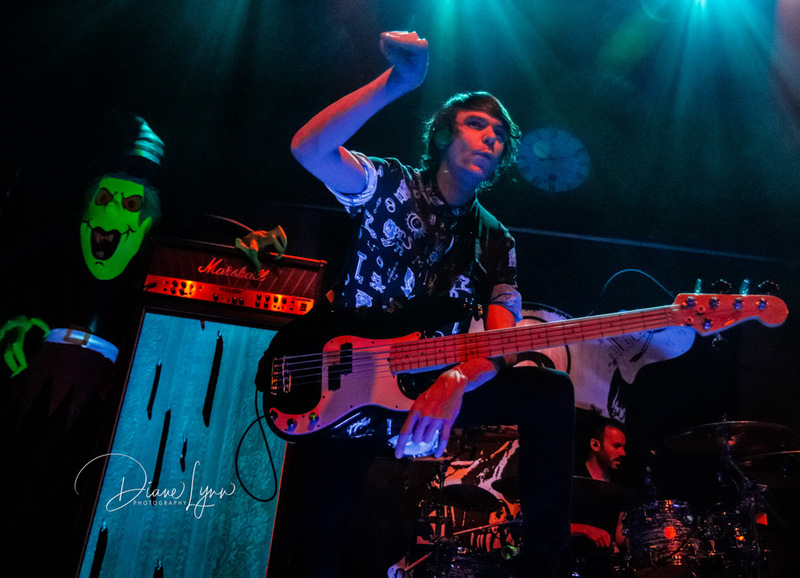 The dark colored lighting paired with some black lights gave that horror goth effect that set the mood for John’s show. 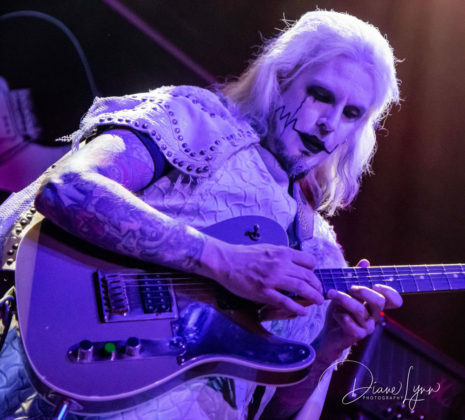 The trio that make up John 5 and The Creatures is Logan Miles Nixon Drums and Ian Ross on Bass and of course John 5 on Guitar. 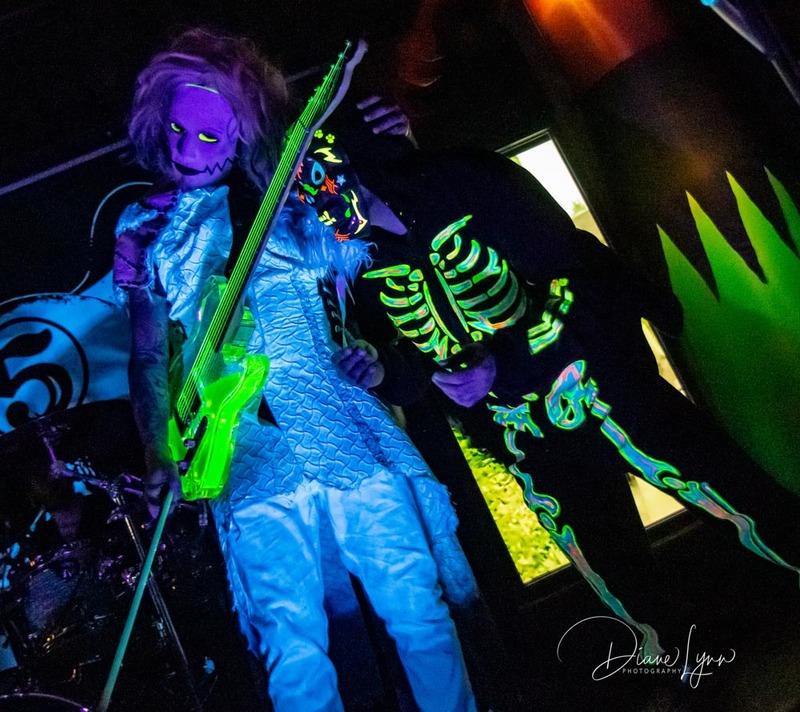 Nothing else is needed as these three talents bring the rocking entertainment to extreme levels! John’s set lasted about an hour and a half which was a bit shorter than I had expected. He’s just so amazing to watch that even if the set had been several hours long, we all would have still been wanting more! 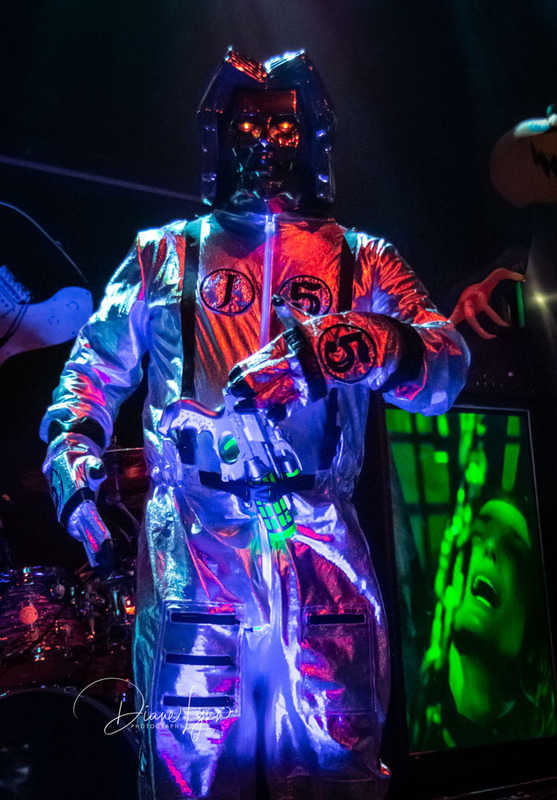 Mixed in with John’s stage show are several costume/mask changes that correlated to the song he was playing. 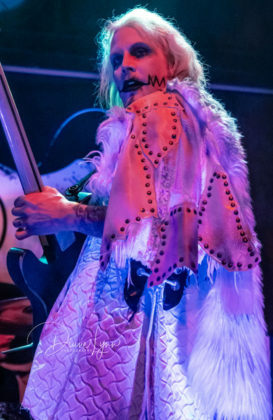 For these changes, he had some assistance from various seedy looking characters throughout the show. 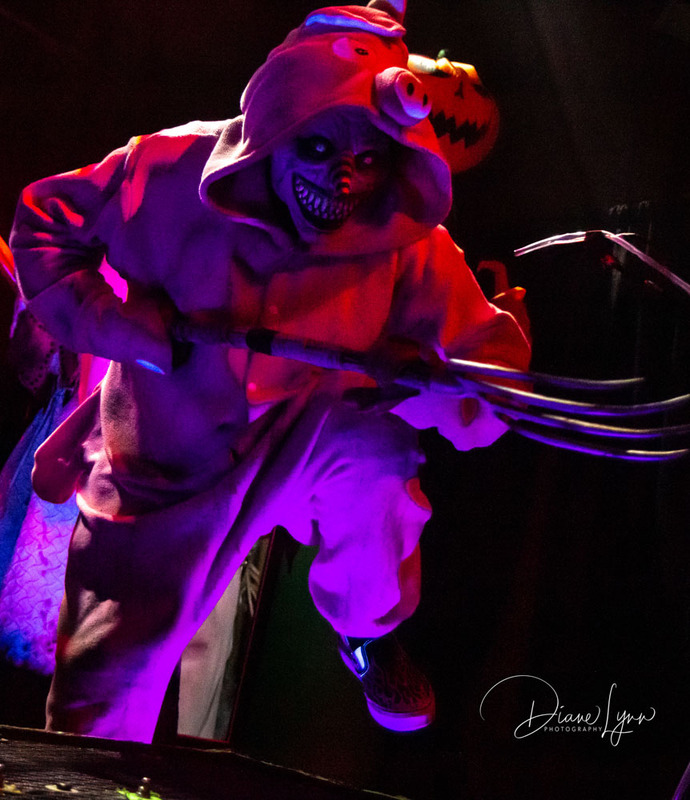 During the set a few “evils” made their way on stage to terrorize the crowd, one even ending up in my lap for a second or two. 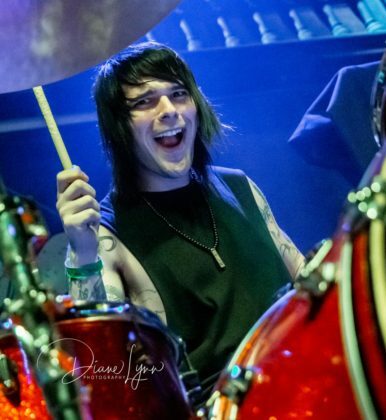 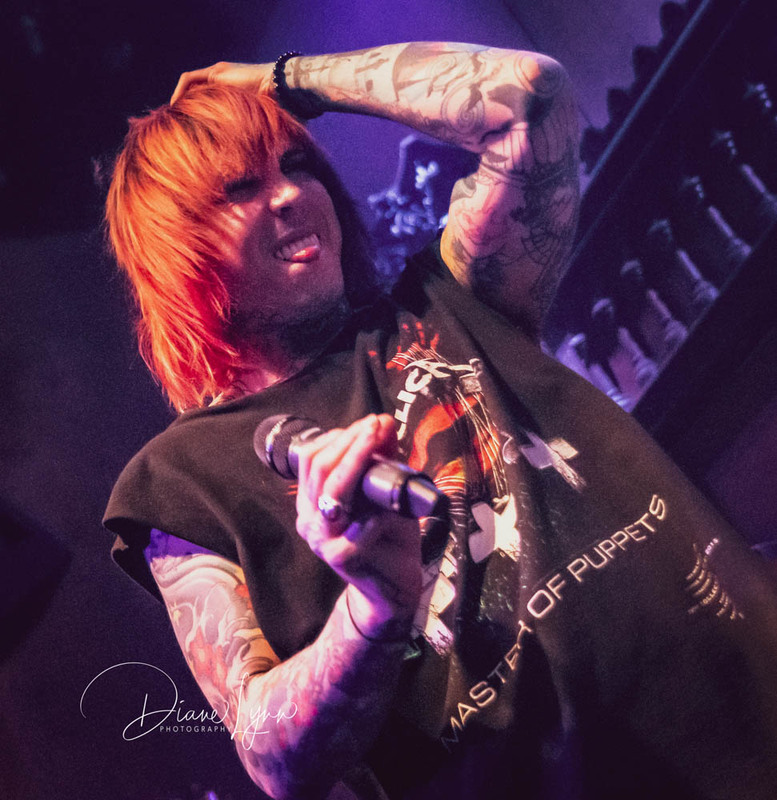 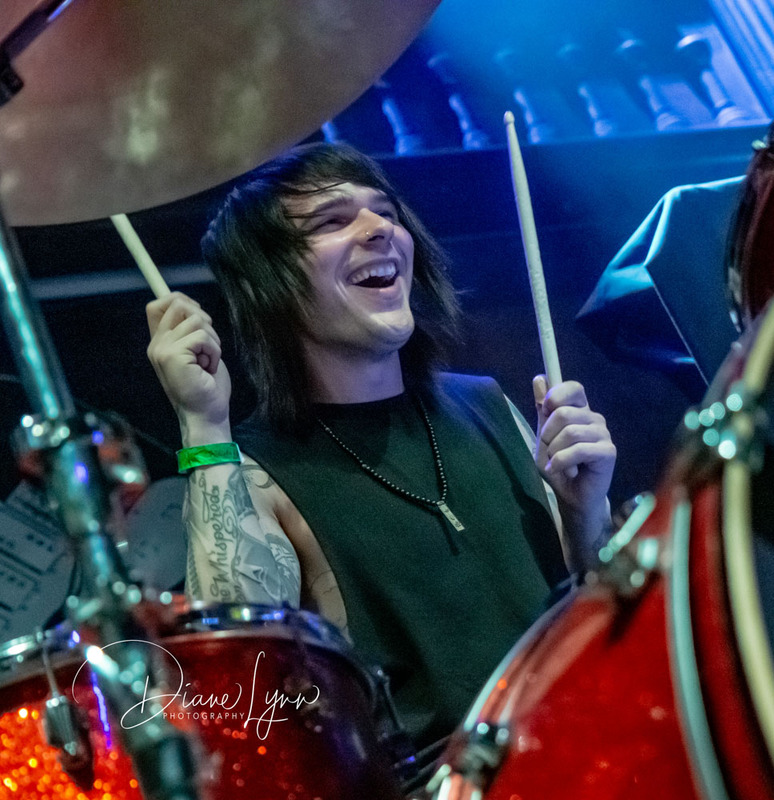 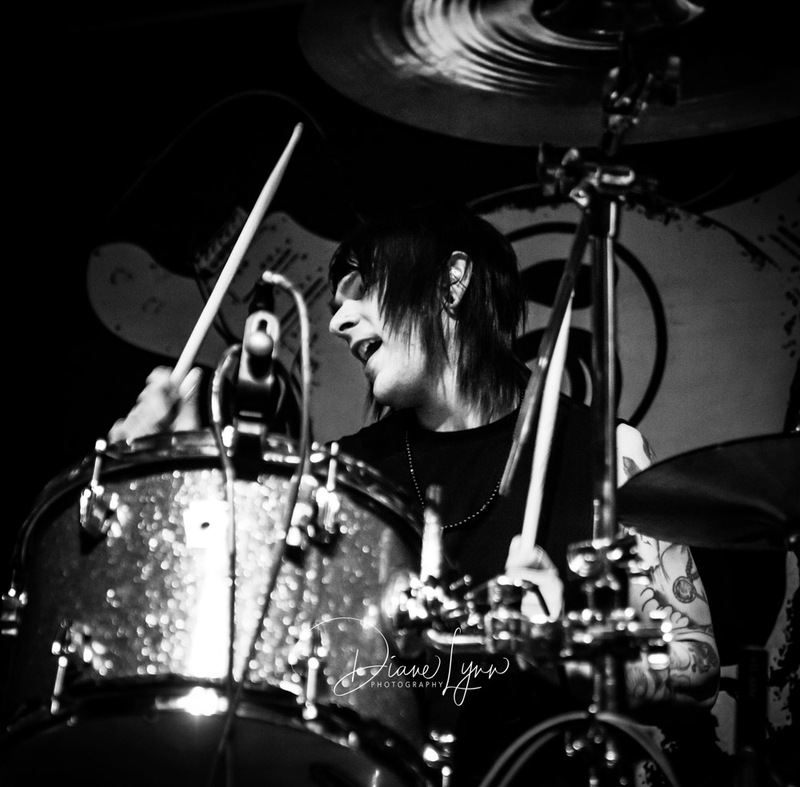 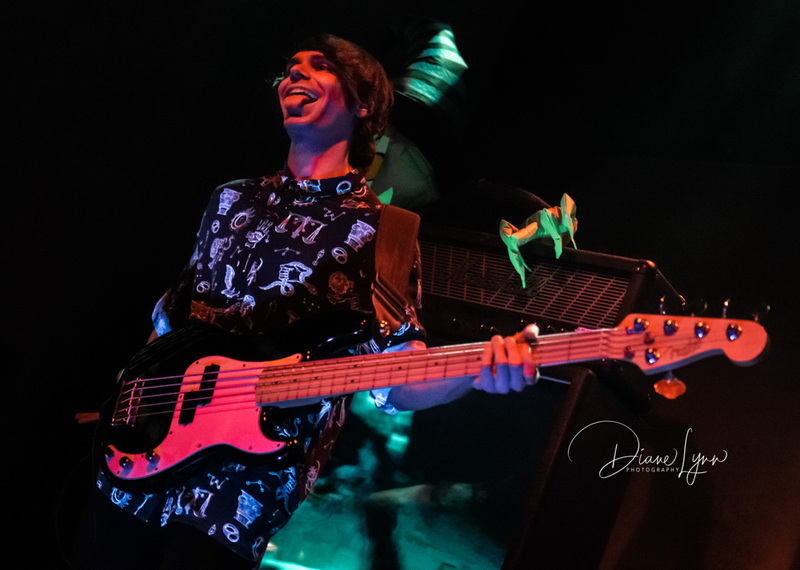 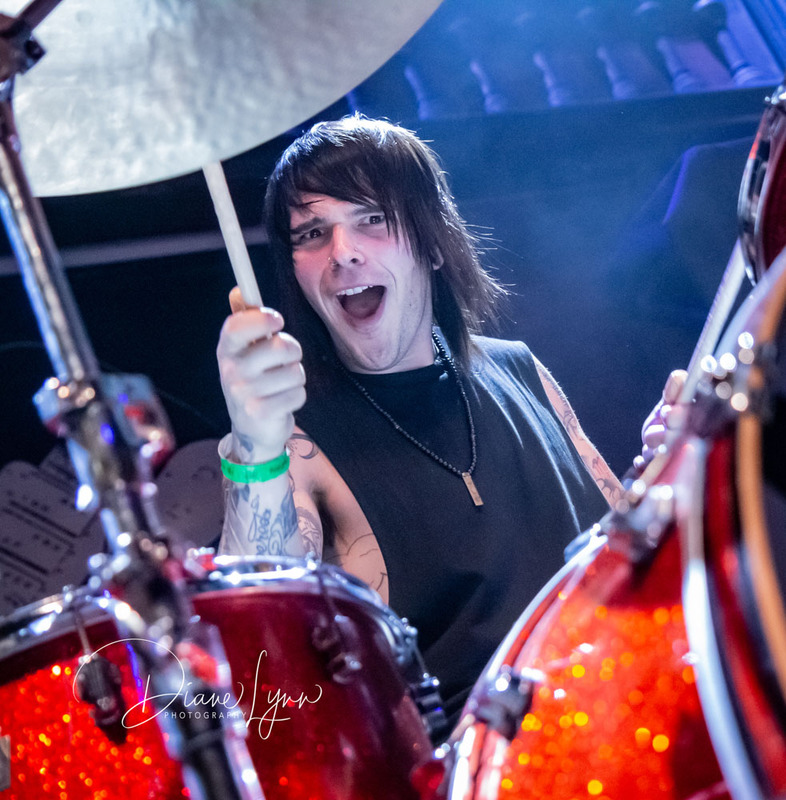 One of the other fun things about shooting from the pit, you never know what you’re in for! 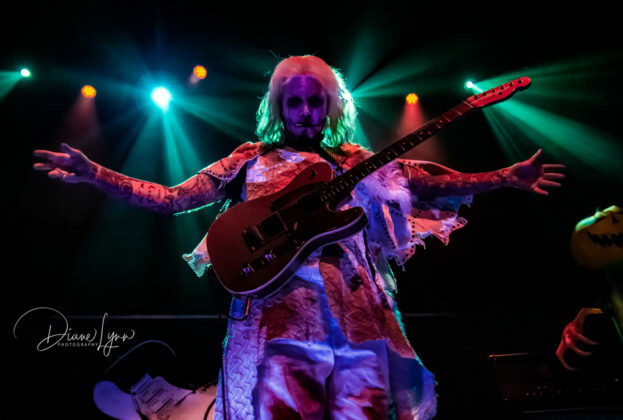 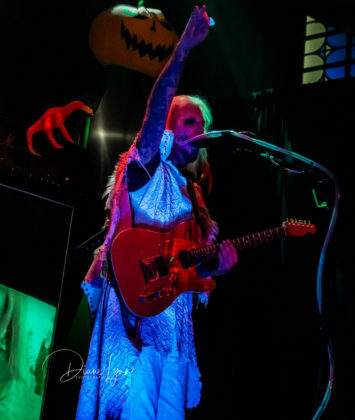 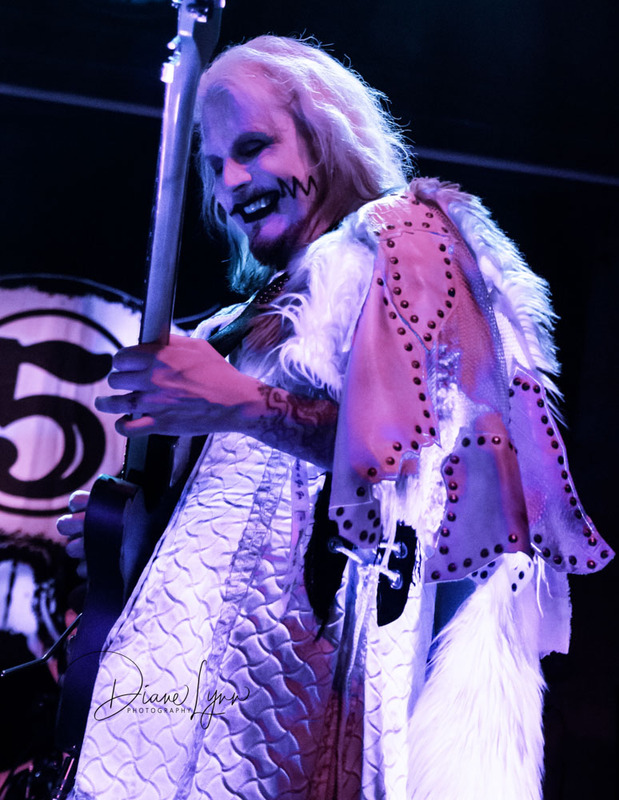 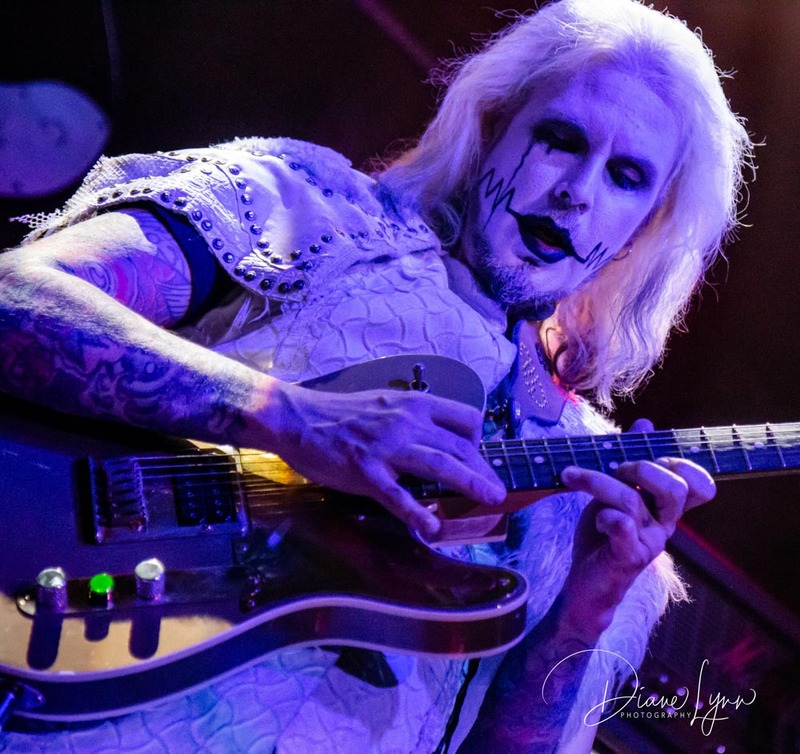 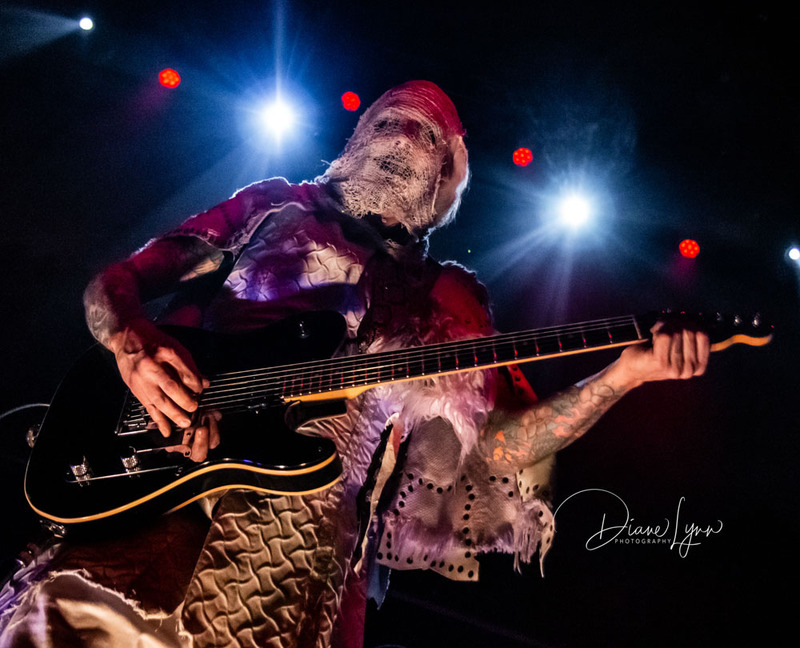 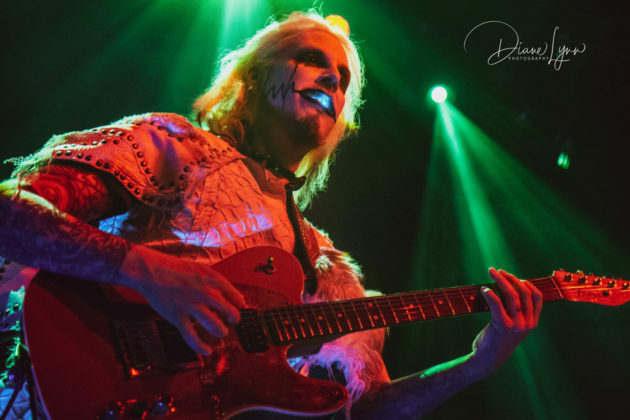 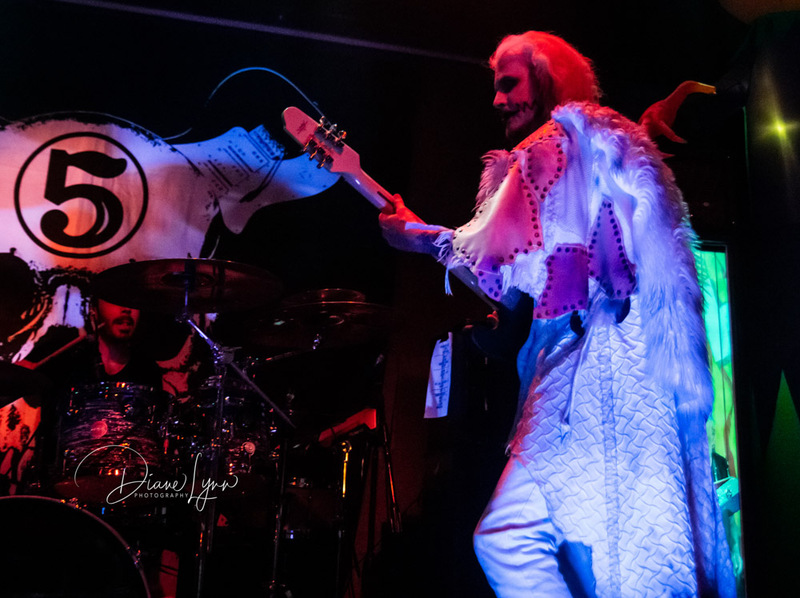 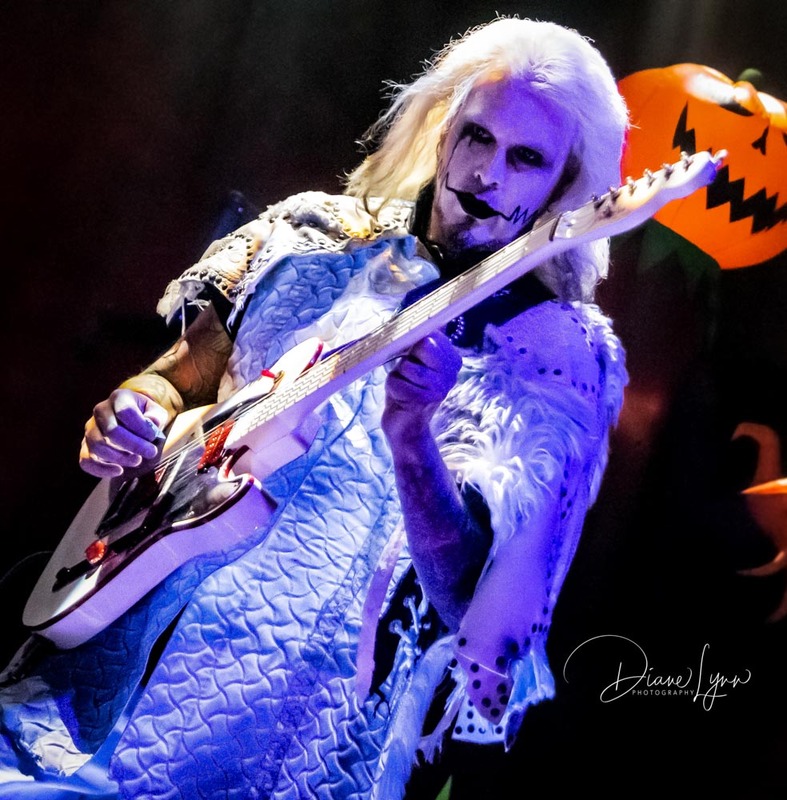 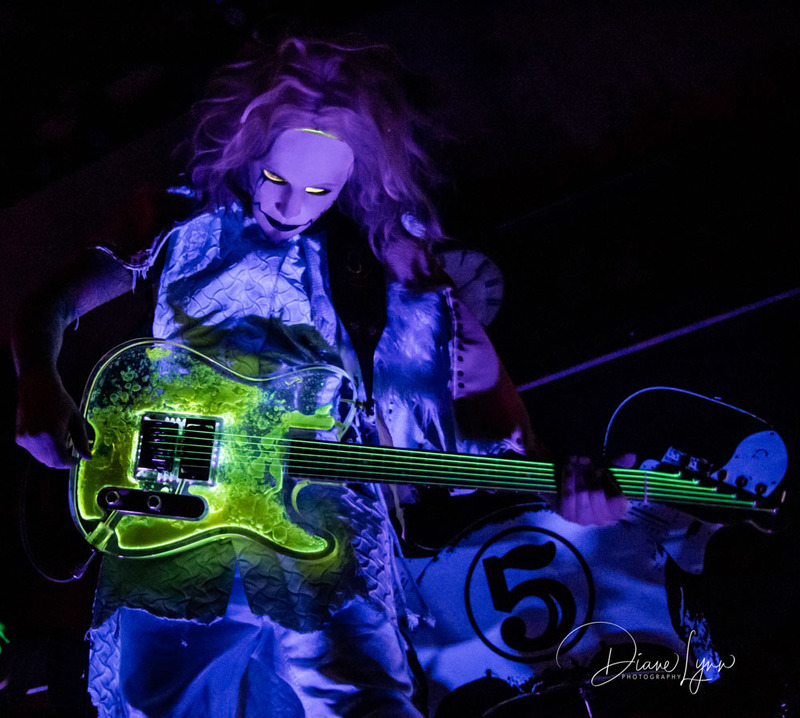 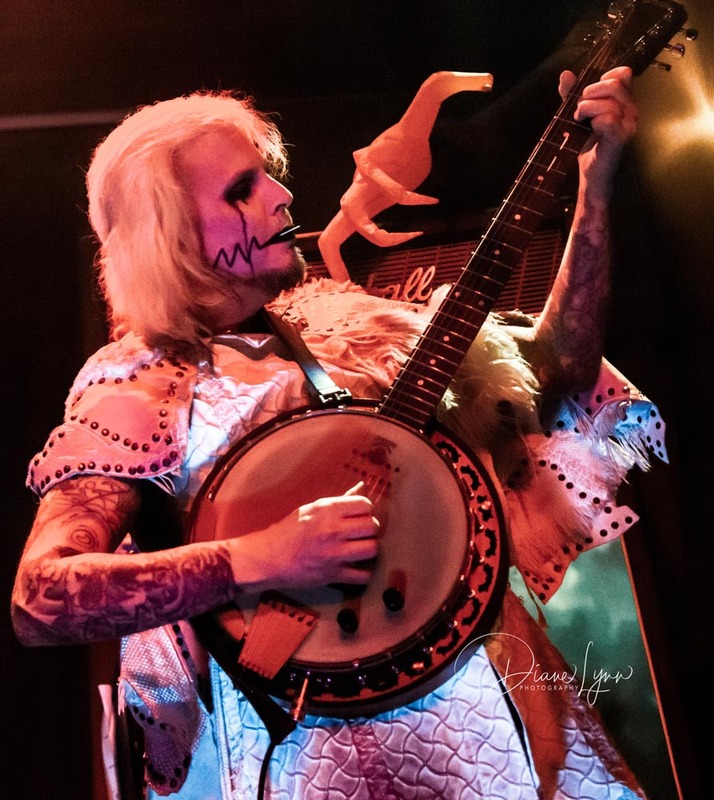 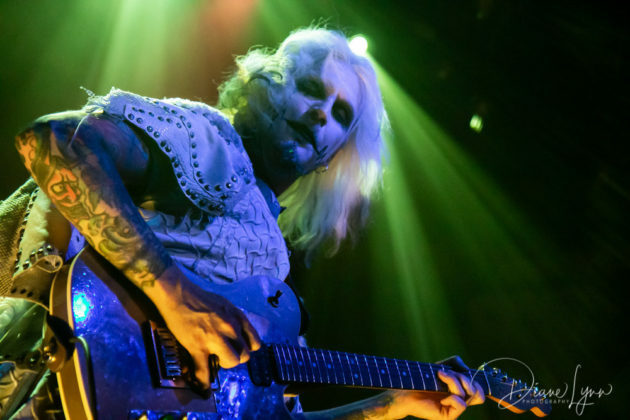 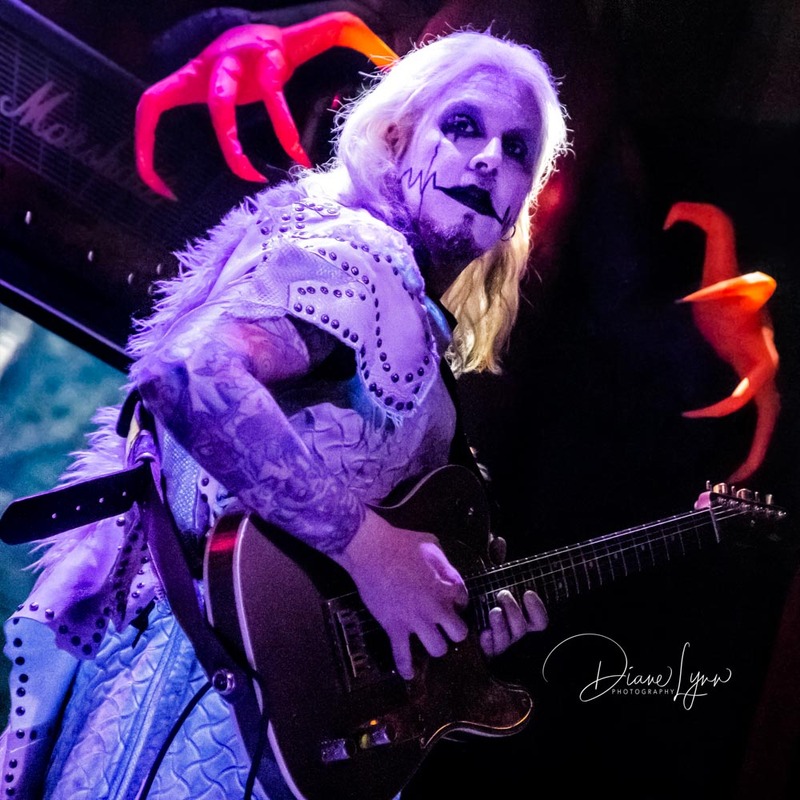 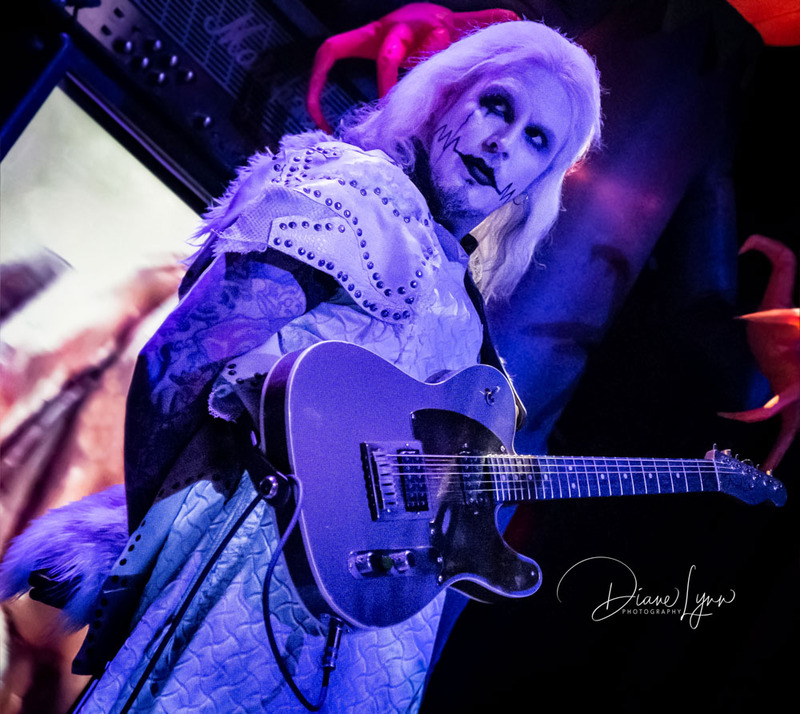 John 5’s setlist was a nonstop jam that included the very popular and ingenious “Medley” that was performed towards the last half of the set and he ended with “I Am John 5” and his latest hit release “Midnight Mass”. 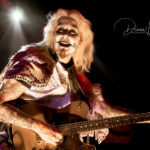 The “Medley” included songs by Kiss, Led Zeppelin, Rush, Nirvana, The Knack, Van Halen and of course Rob Zombie to name a few. The vibe throughout John’s set was amazing. 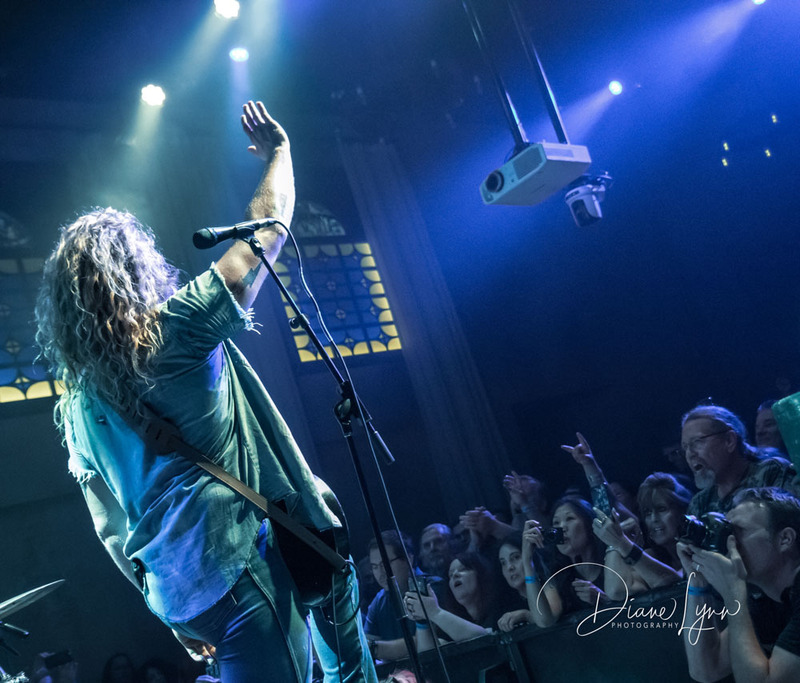 Everyone was cheering and “headbanging” along to the songs, there was even the occasional shouts of “We love you John” coming from the crowd. 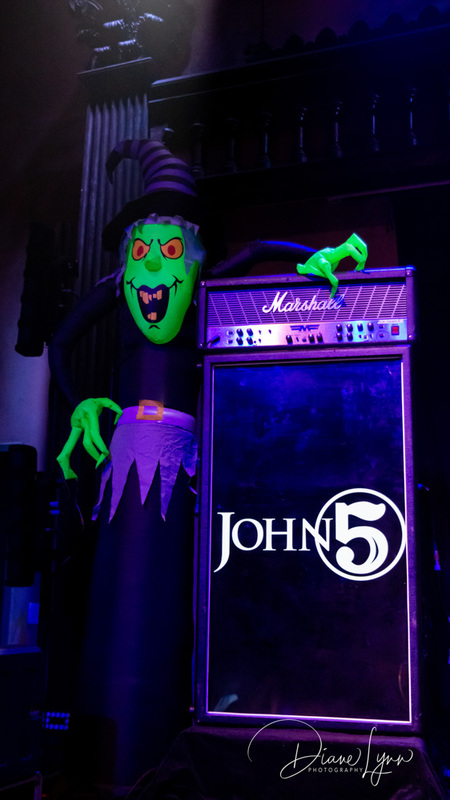 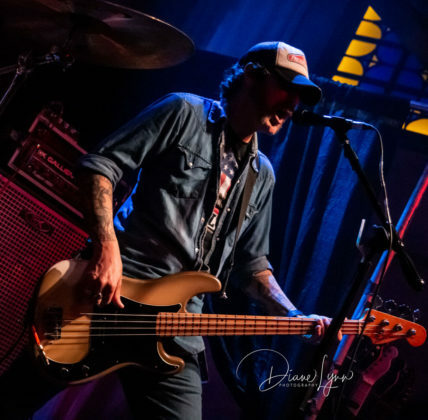 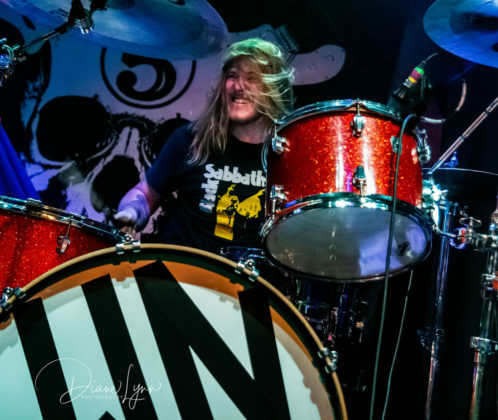 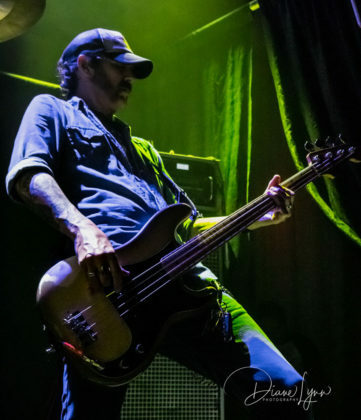 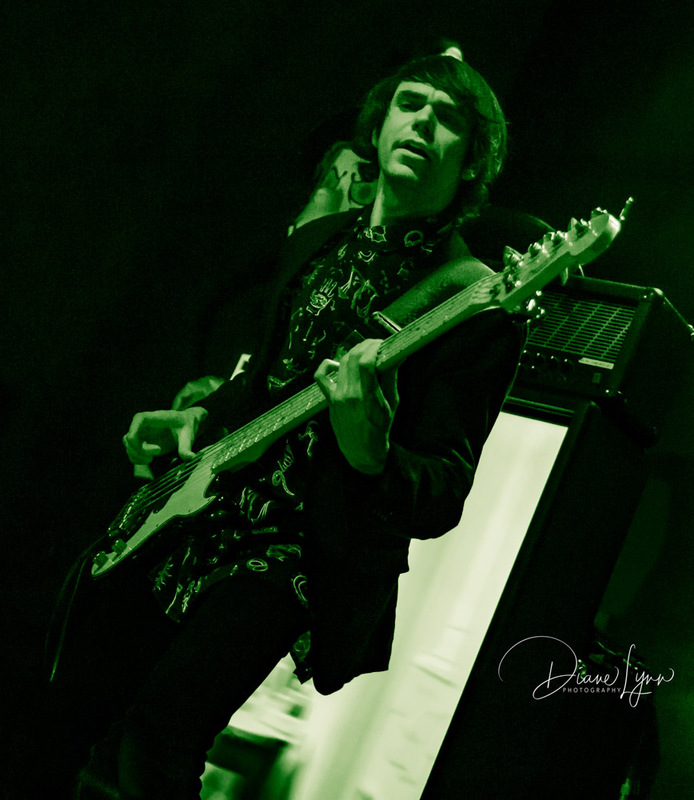 The Invasion Tour comes to an end Sunday April 14th in San Diego so if you missed this round you’ll have to wait until John goes on the solo road again. Hopefully there’s not to long of a await. 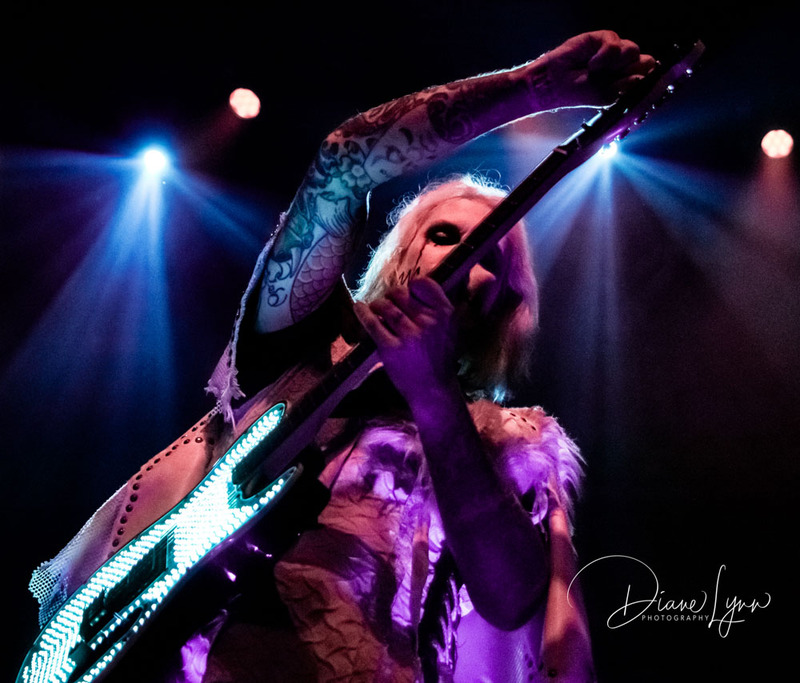 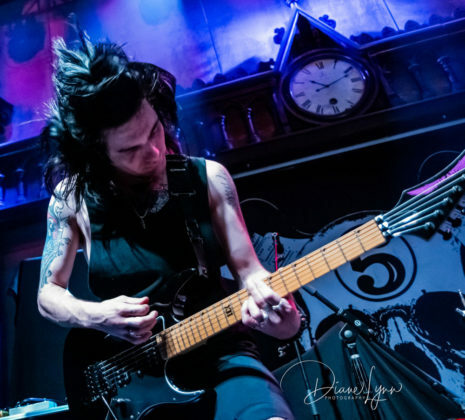 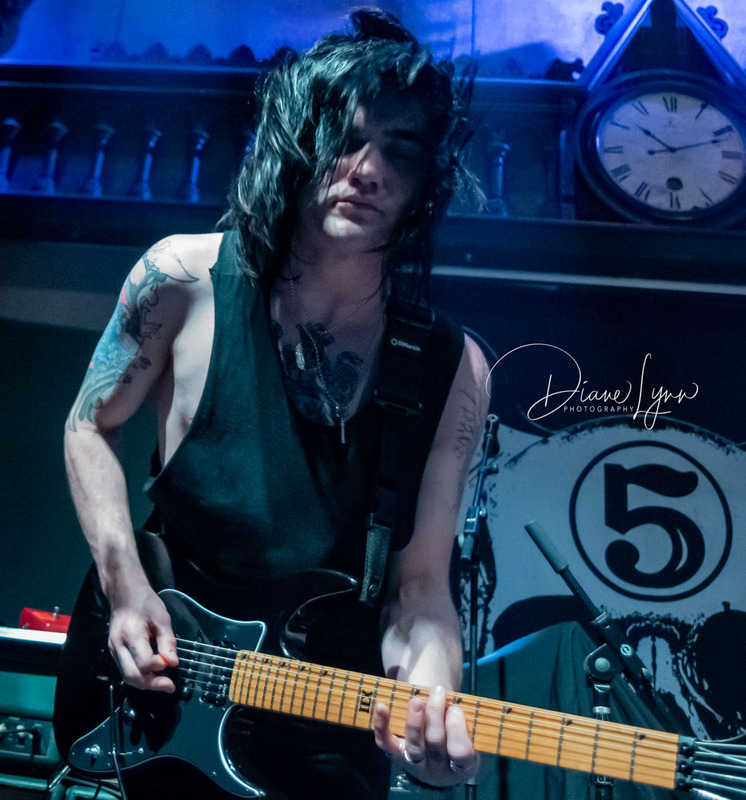 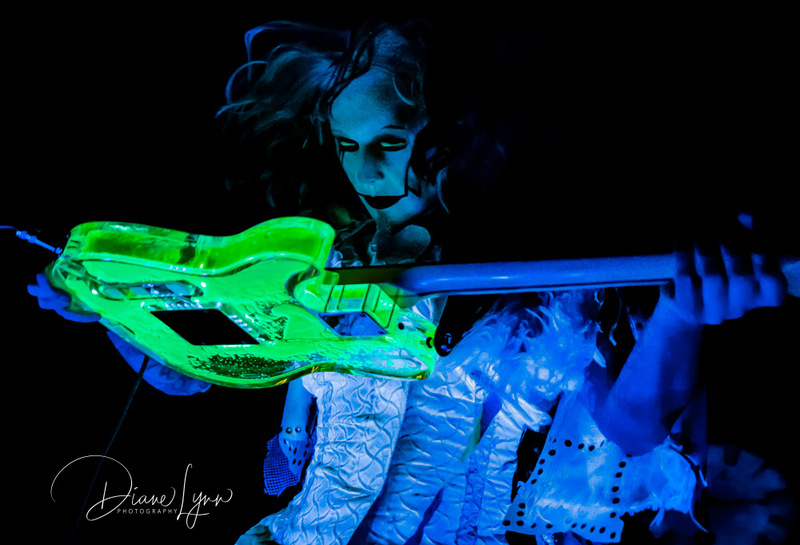 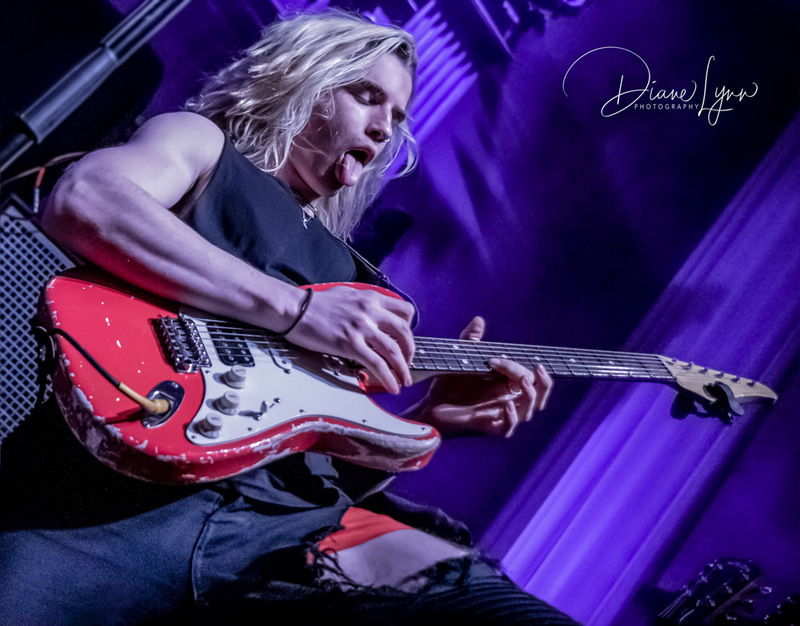 The direct opener for John 5 was the rock/blues guitar sensation Jared James Nichols. 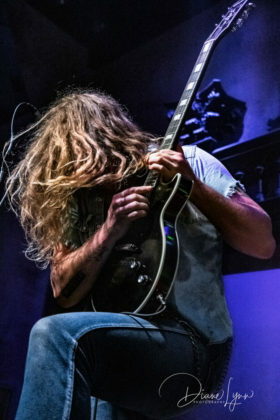 Although Jared has been making a name for himself for a couple of years now, I only just came across him during NAMM this year. I was having a look around the Fender Showroom waiting on the Rick Nielsen interview when I was told that the guitarist scheduled next on the small Fender stage was a must see! 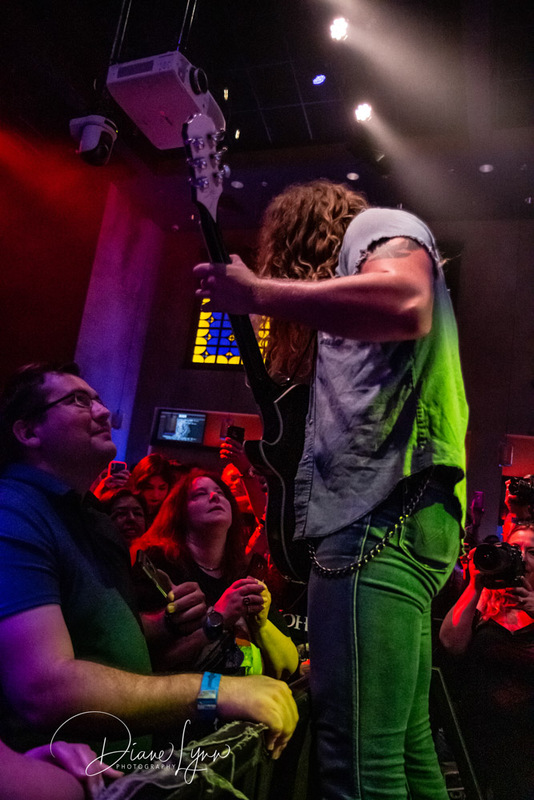 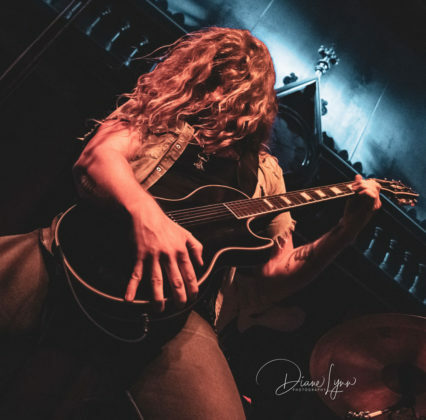 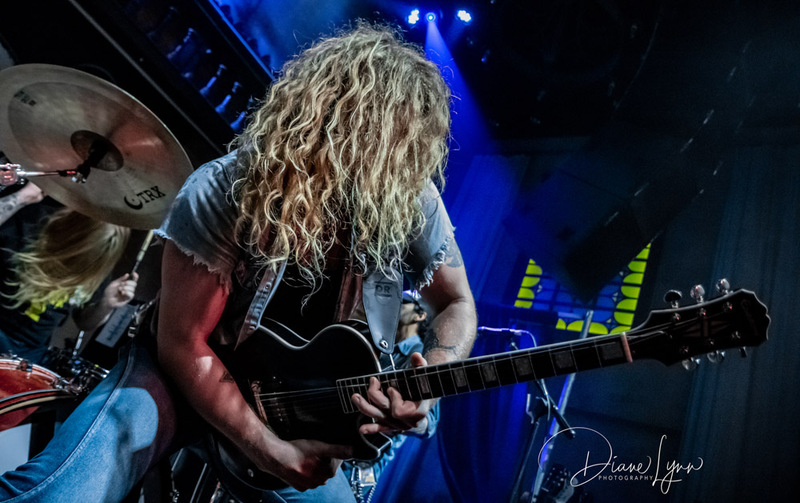 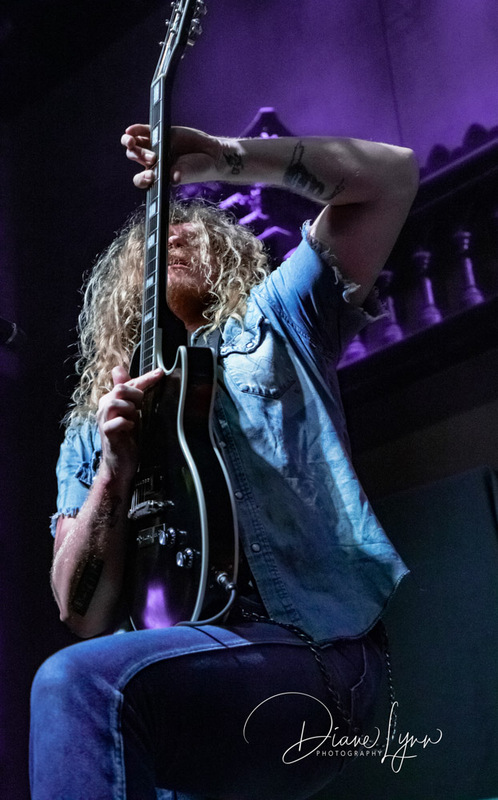 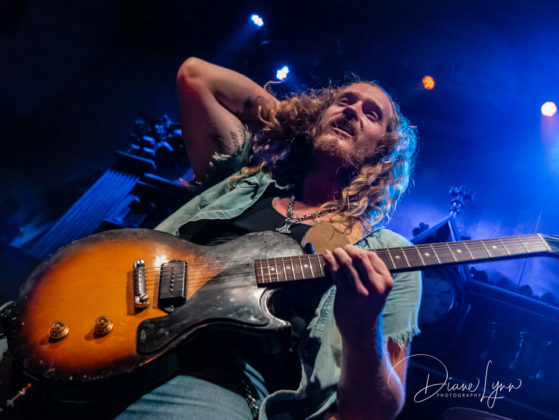 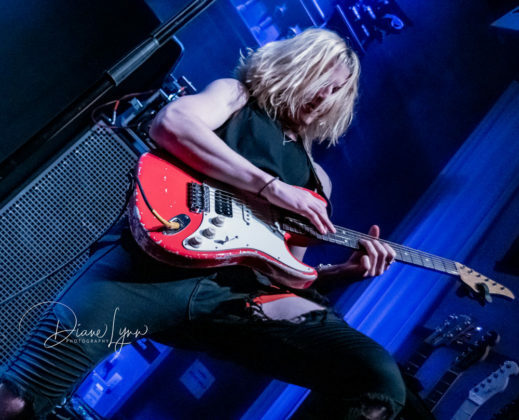 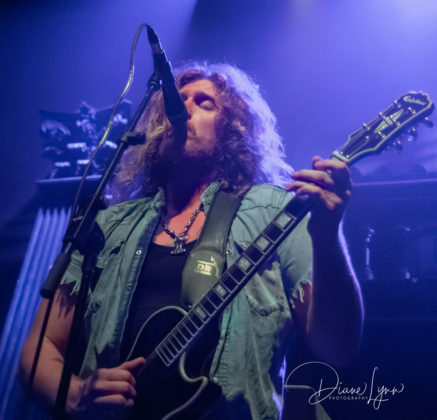 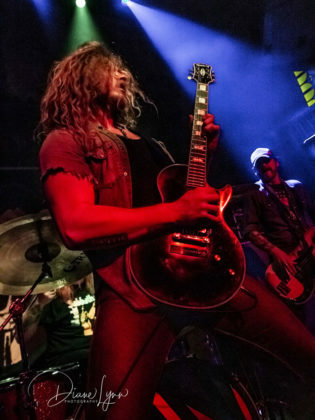 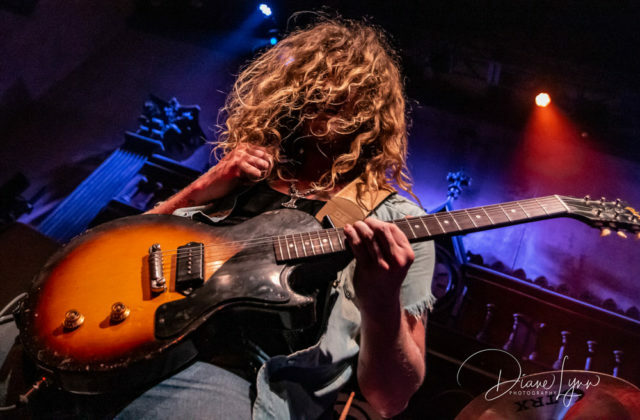 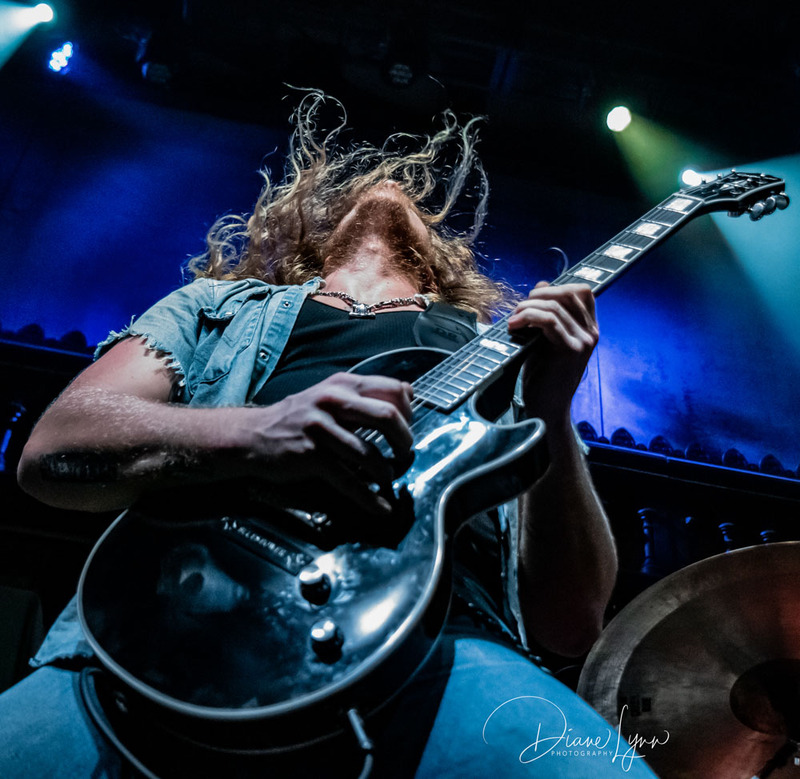 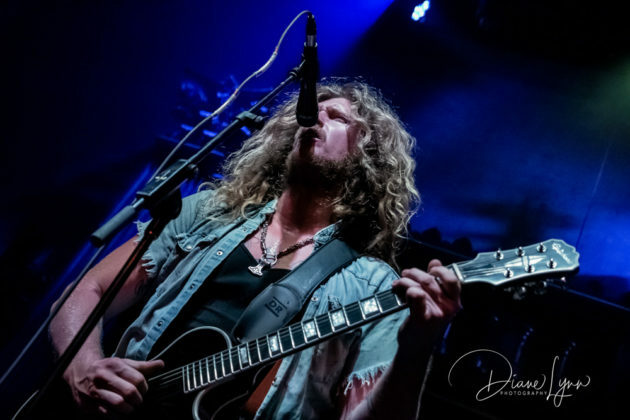 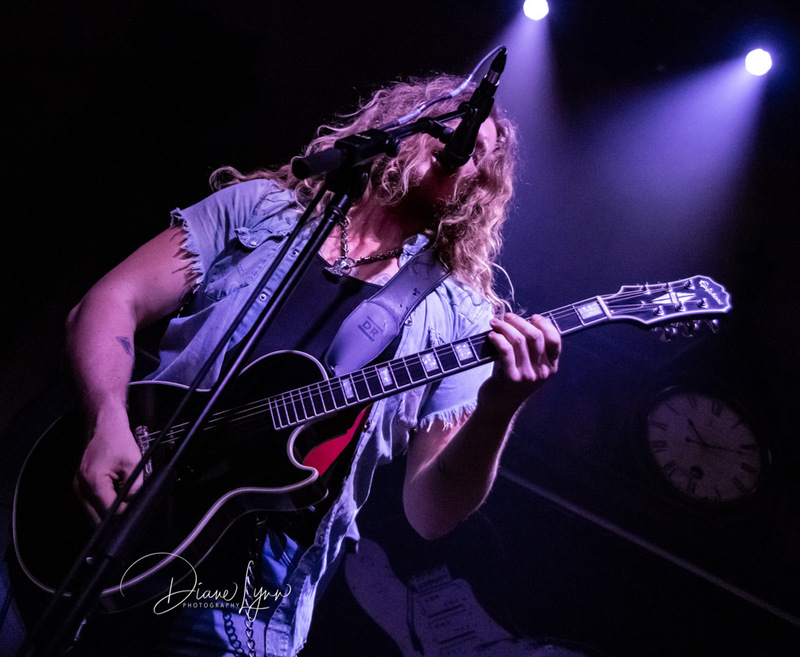 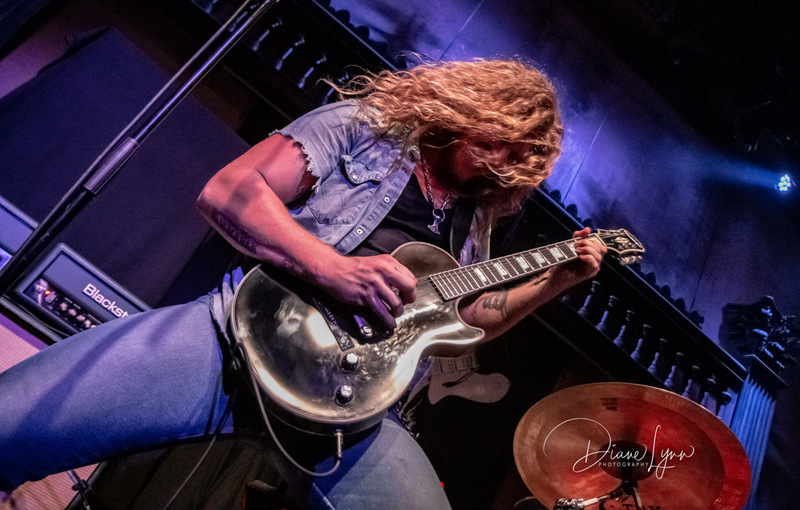 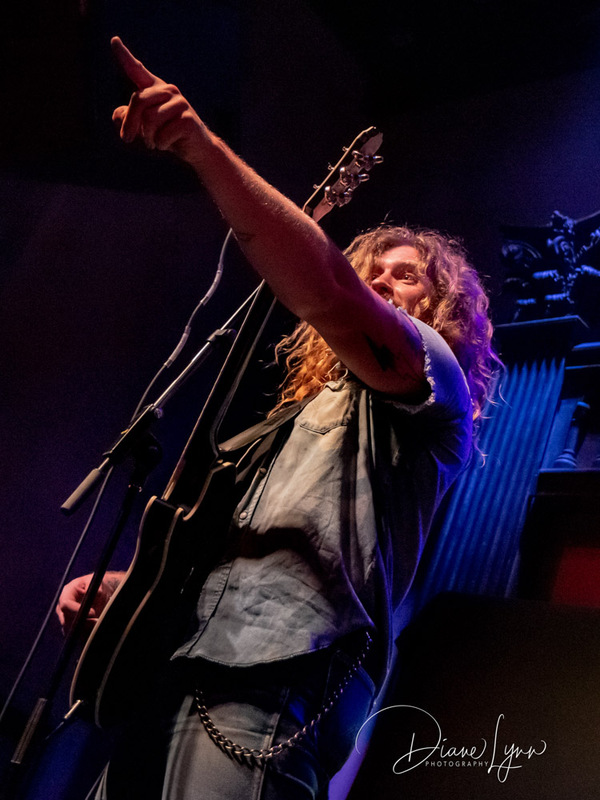 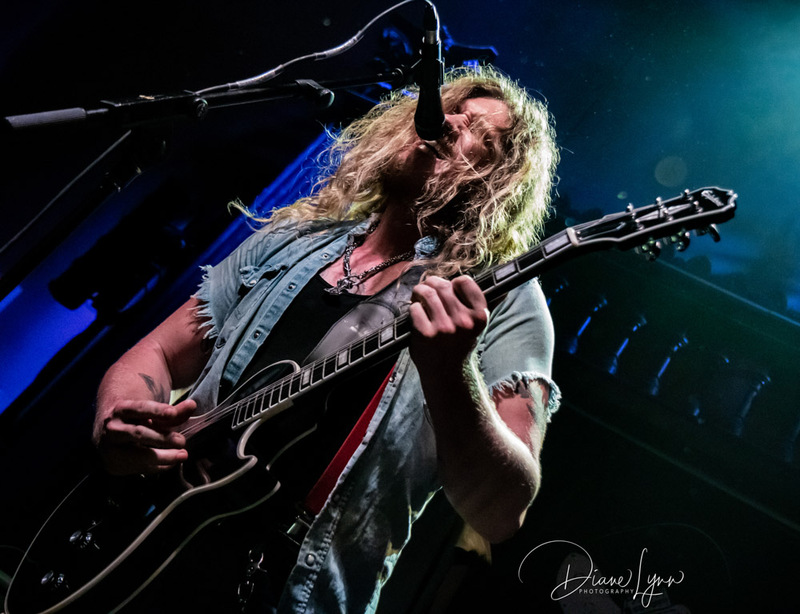 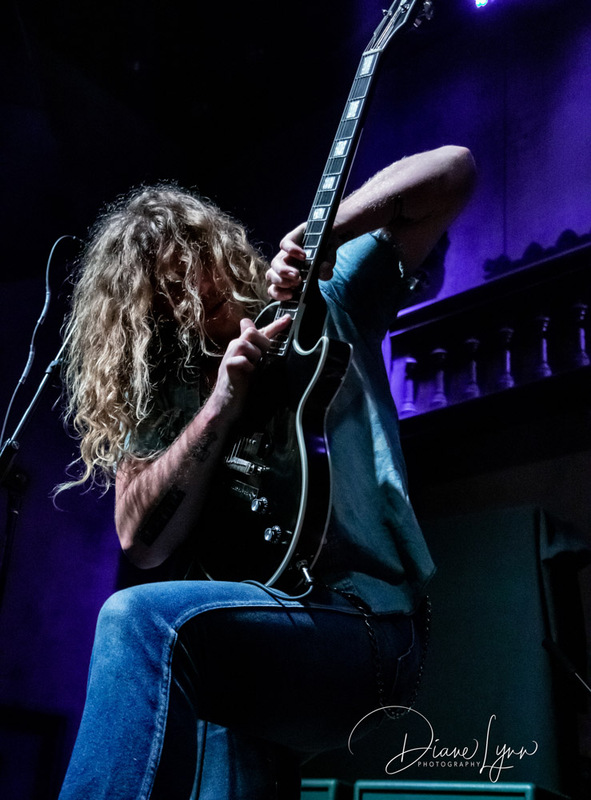 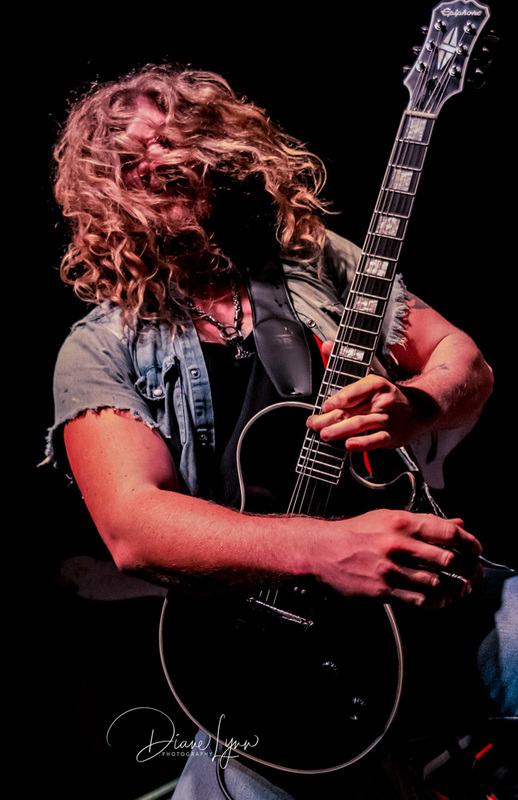 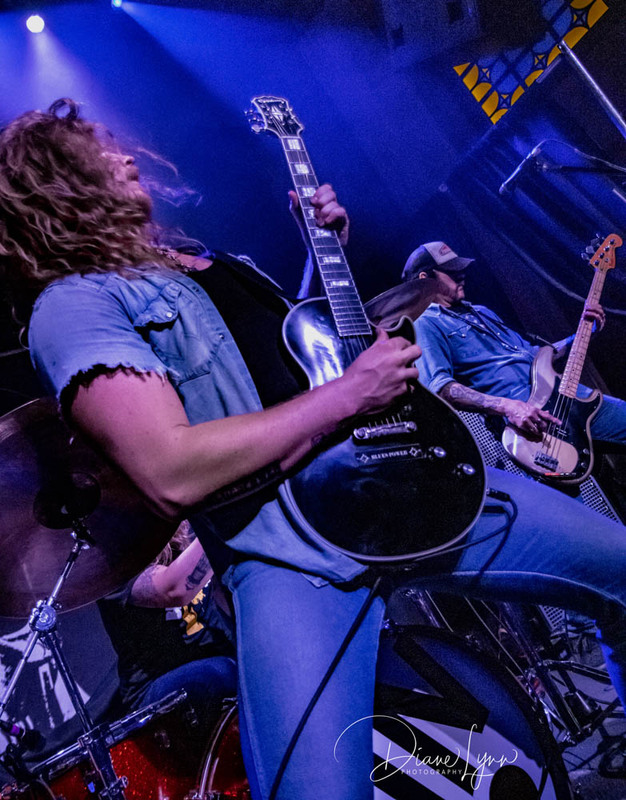 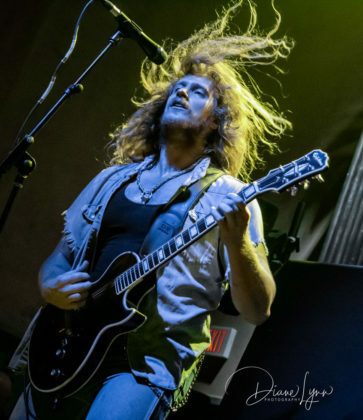 After the interviewer had a brief chat with Jared about his brand–new Signature Les Paul Custom that was due out very soon, he jumped up and blew us all away with his short performance. 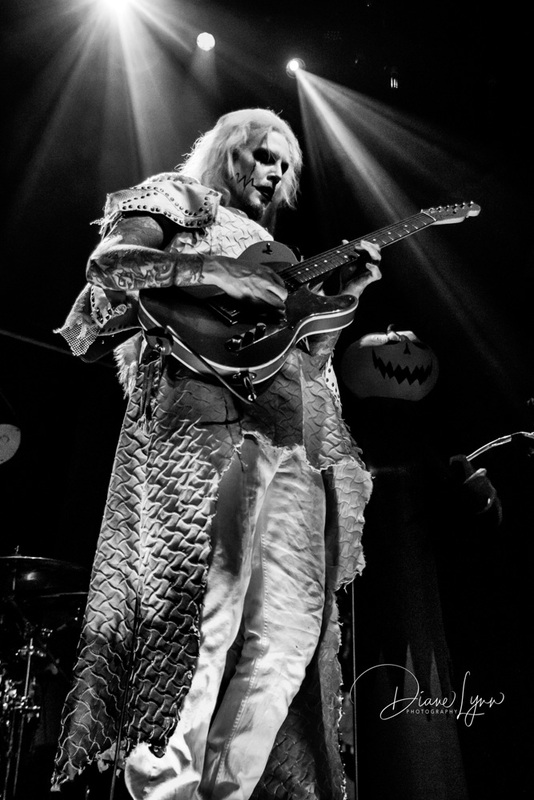 Sunday night was no exception! 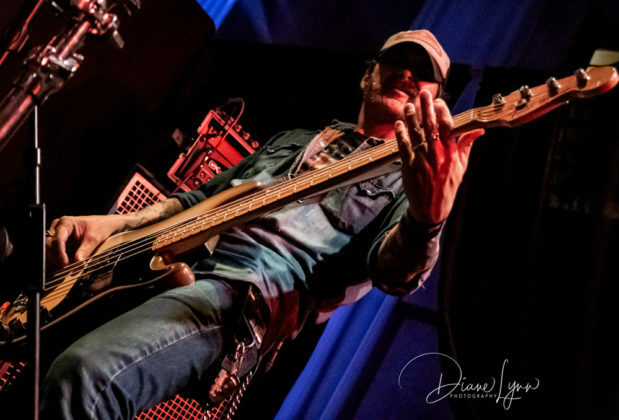 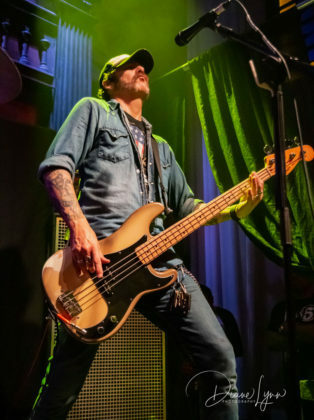 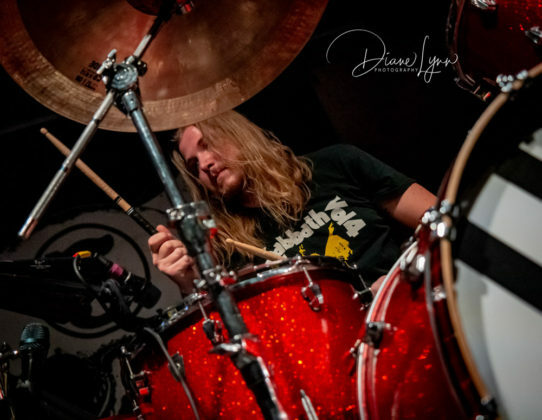 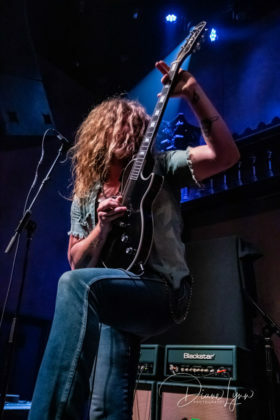 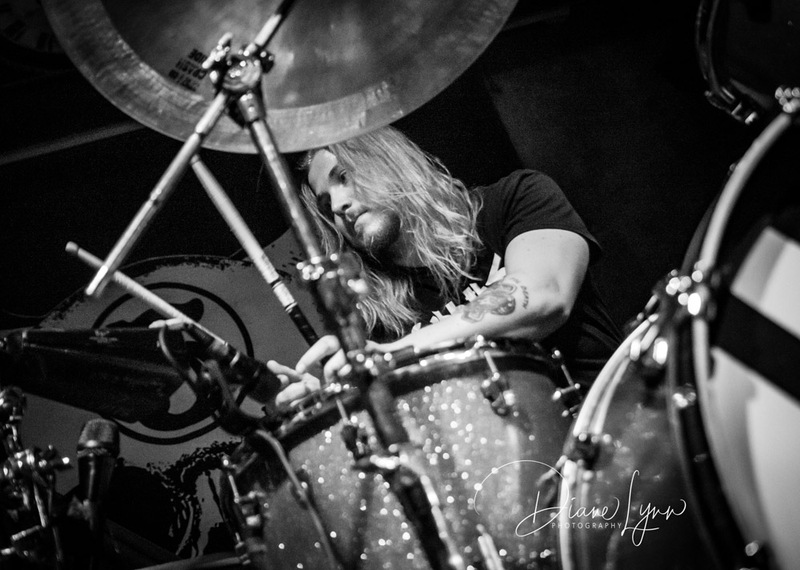 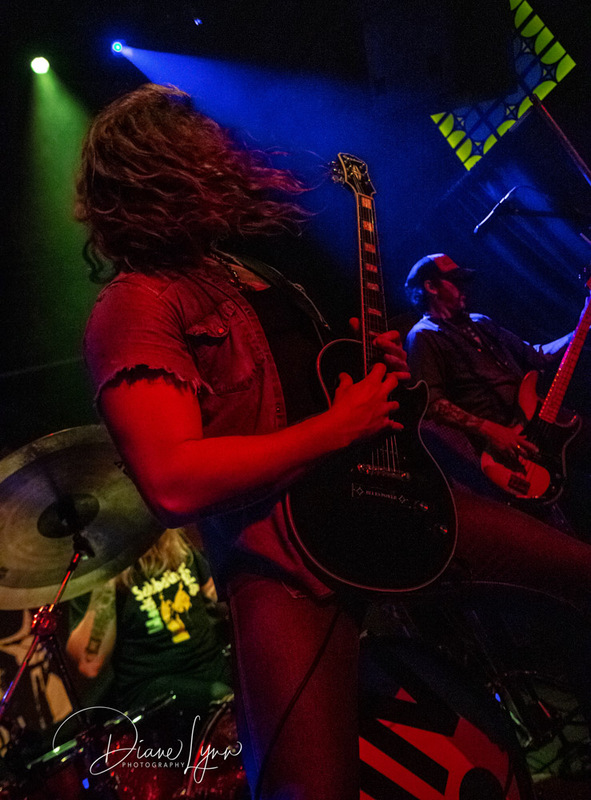 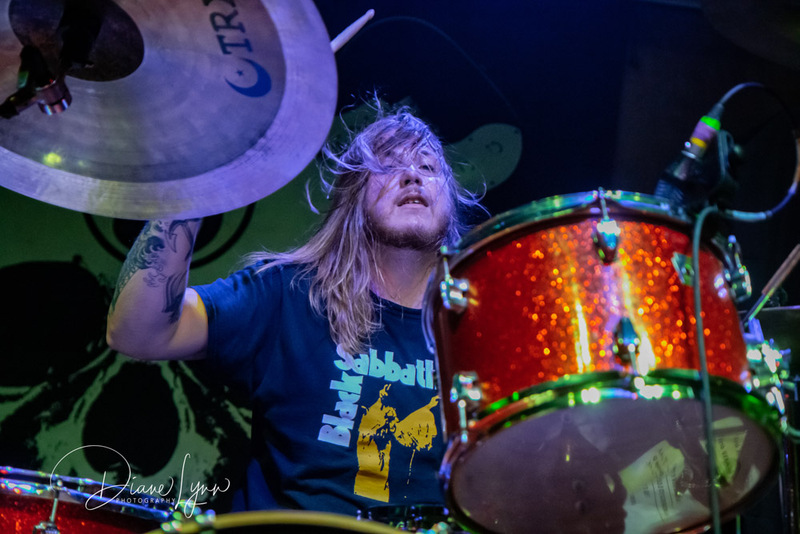 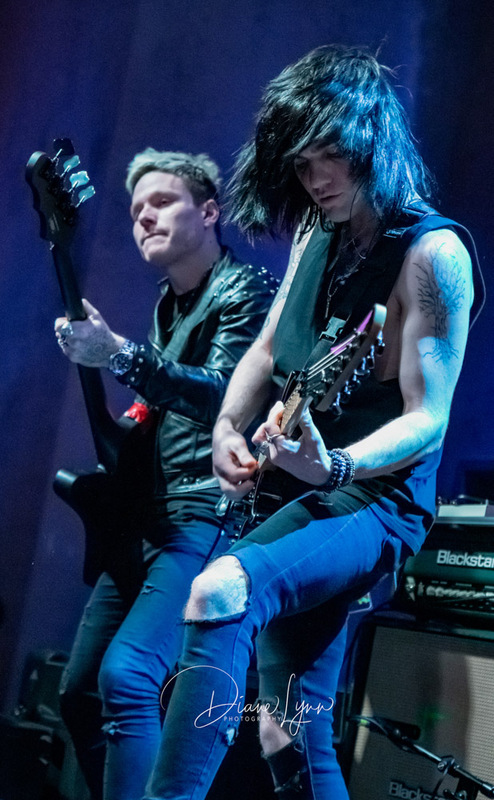 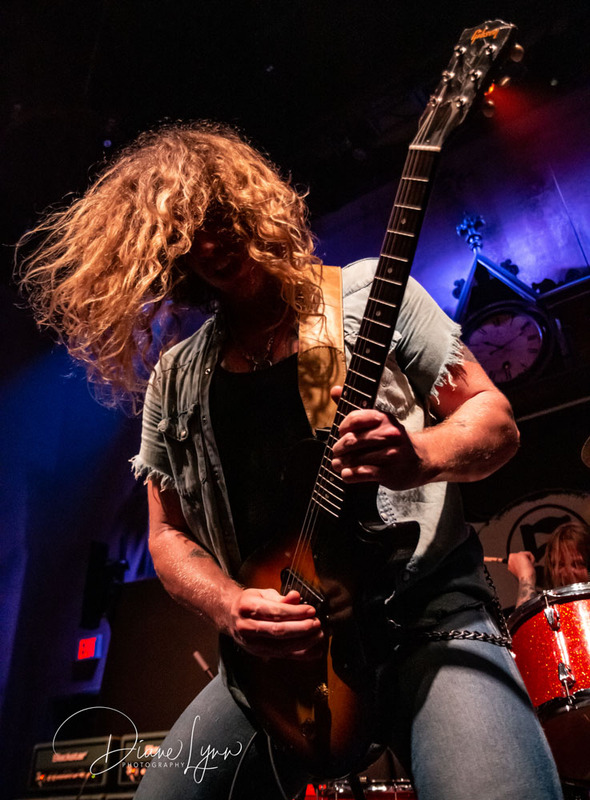 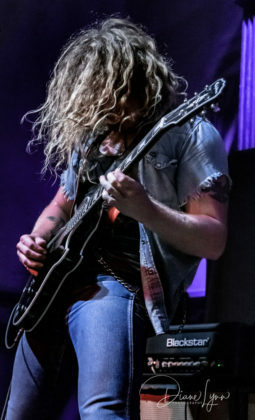 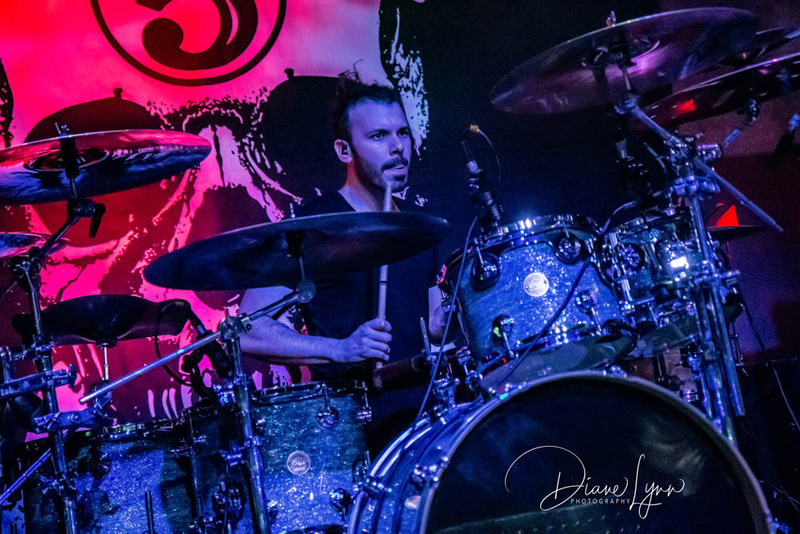 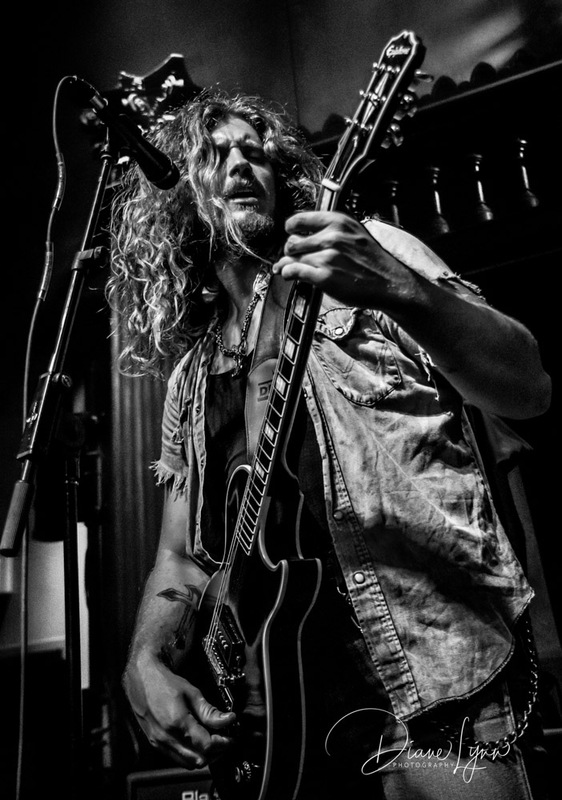 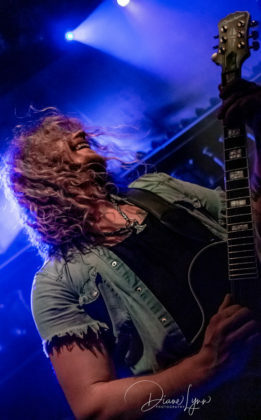 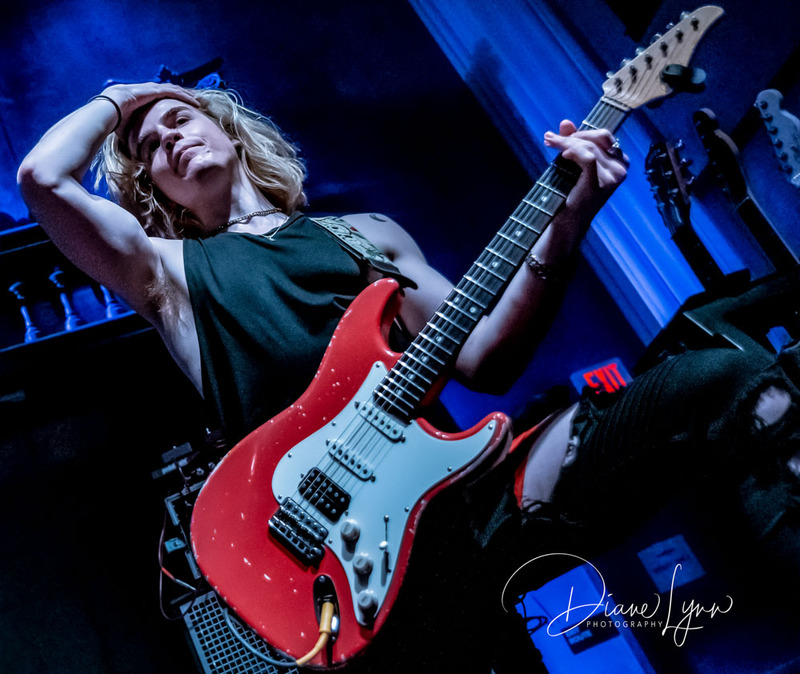 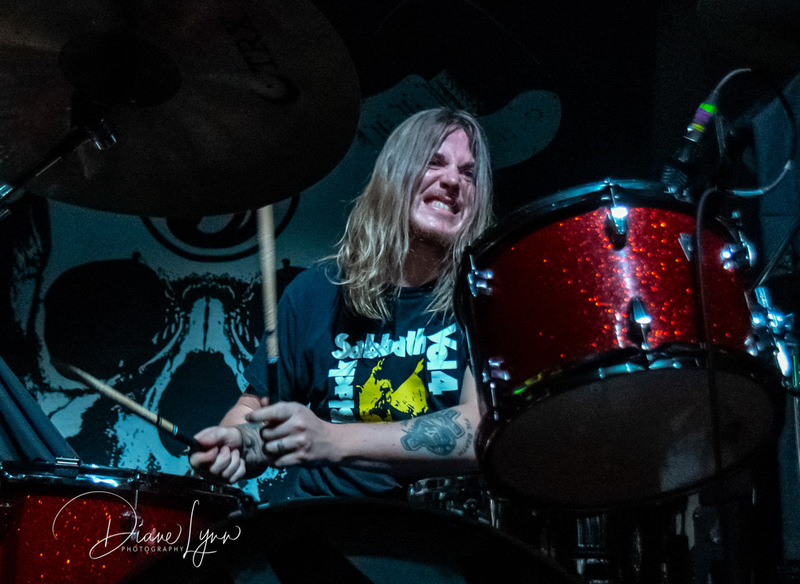 Jared James Nichols is the Classic American Rocker. 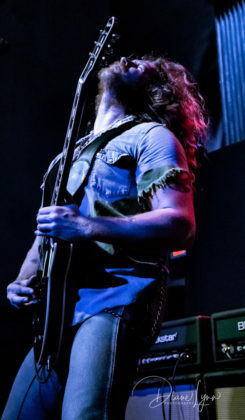 He’s big in stature, reminding me at times of Ted Nugent in terms of looks and stance. 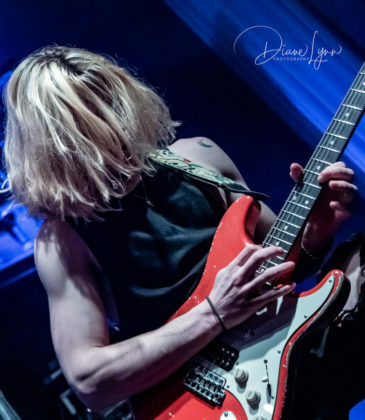 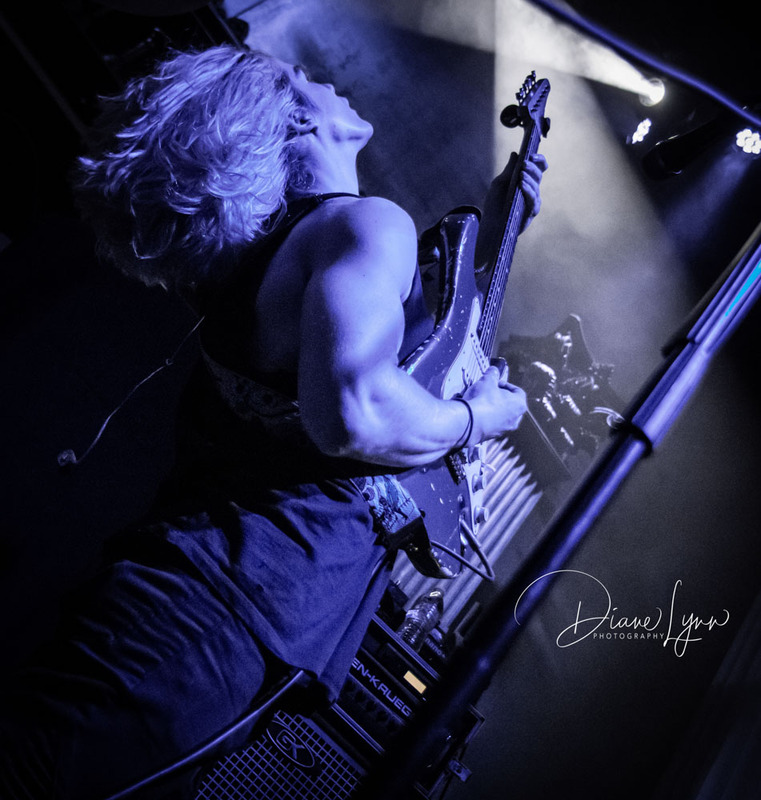 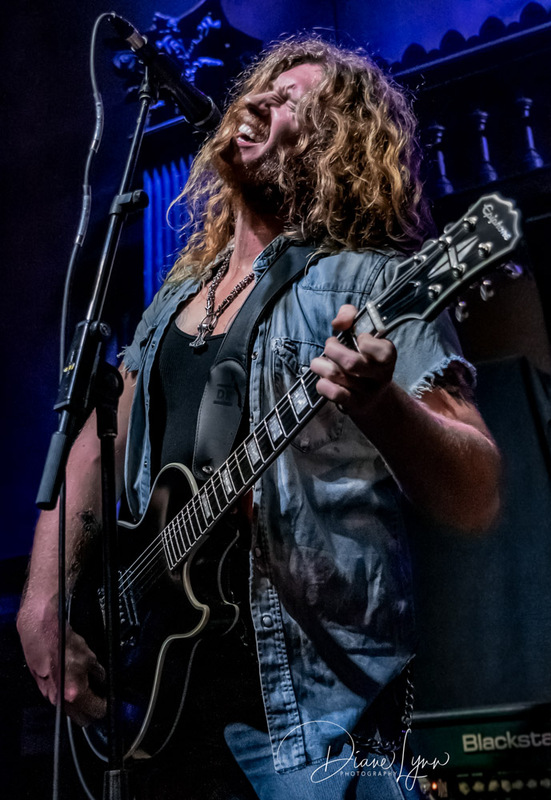 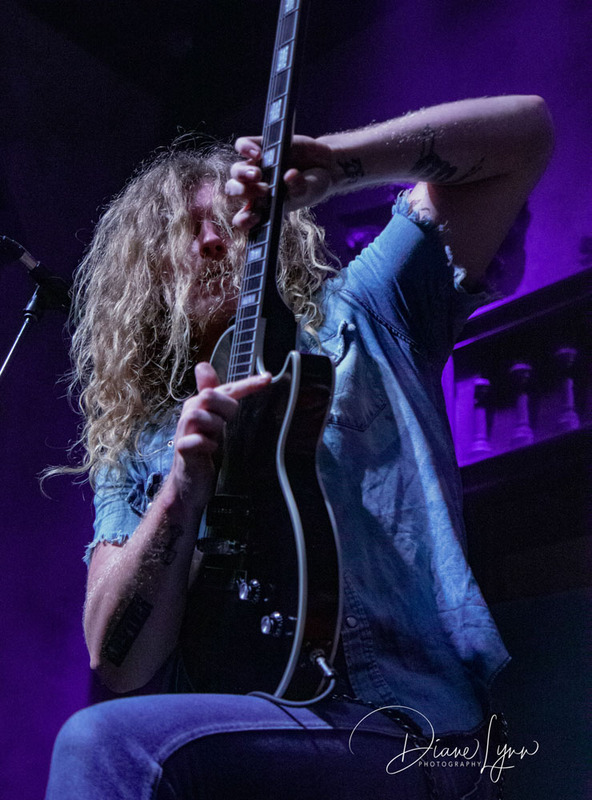 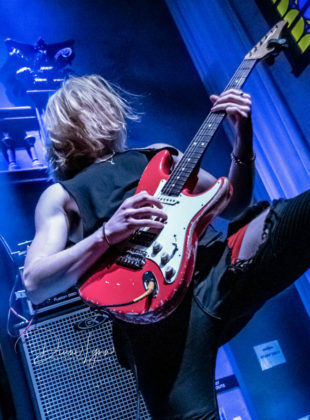 A tall drink of water with long curly hair and he plays the guitar with a purpose, the purpose of shredding the strings off! This was a no frills set Sunday night just pure rock and roll intertwined with the power of The Blues! Not only can Jared play the guitar like nobody’s business he’s also a great singer too. 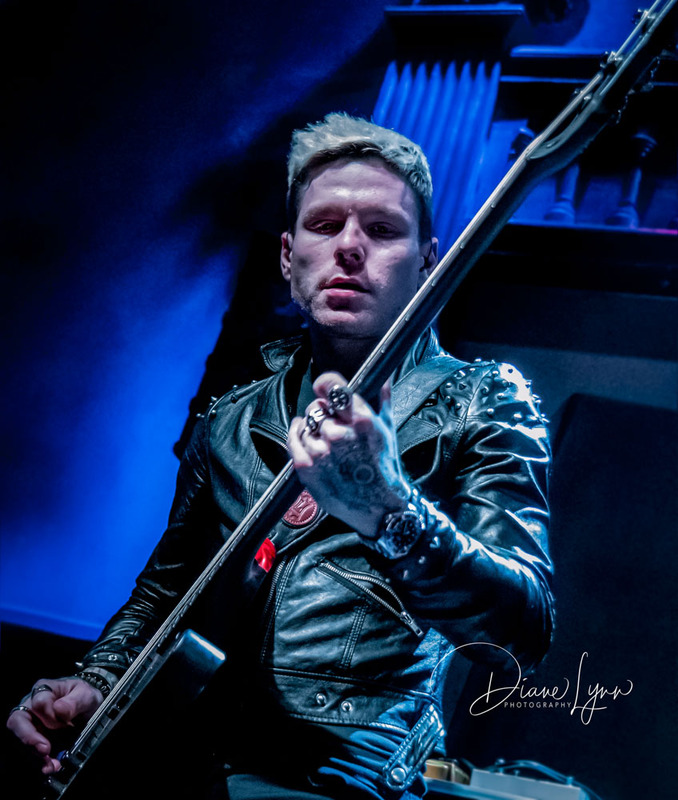 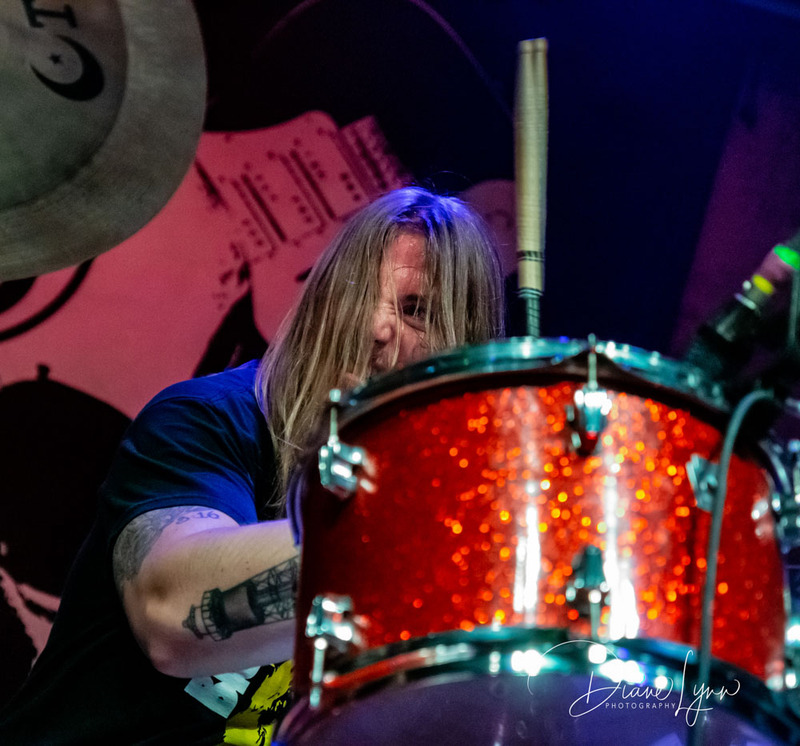 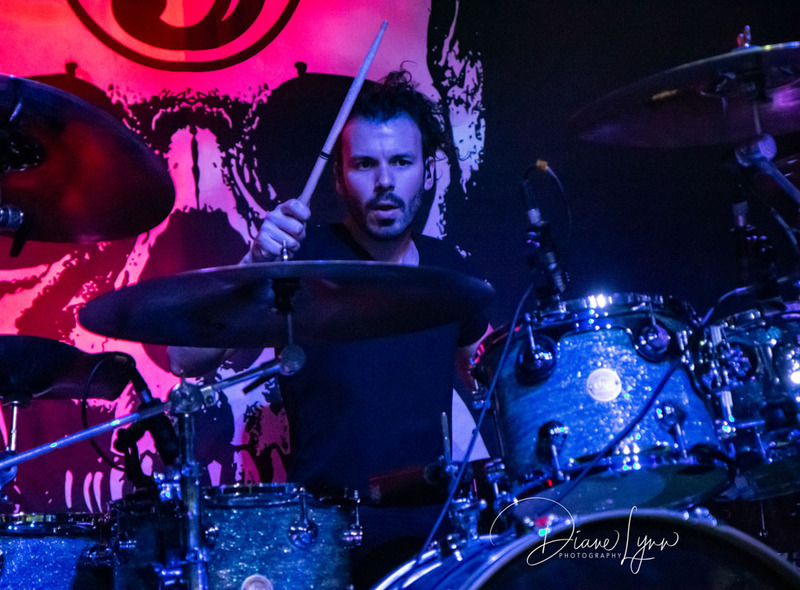 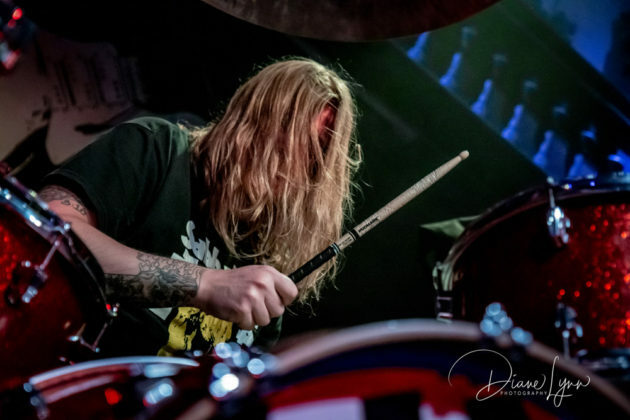 Backing him on stage are Dennis Holm keeping the beat on Drums and Ronnie Elvis James dropping it low on Bass. 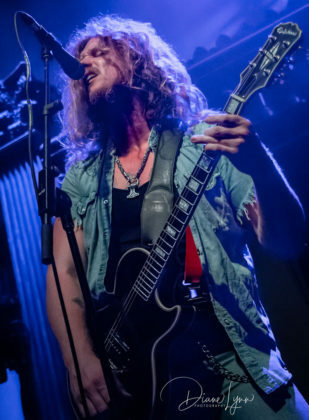 Jared took us through several original songs during his set such as “Honey Forgive Me” and “Last Chance” both of which are from his latest EP “Black Magic” Also included was his latest single “Nails in my Coffin” and ending the set with the classic rock/blues song “Mississippi Queen” by Mountain. 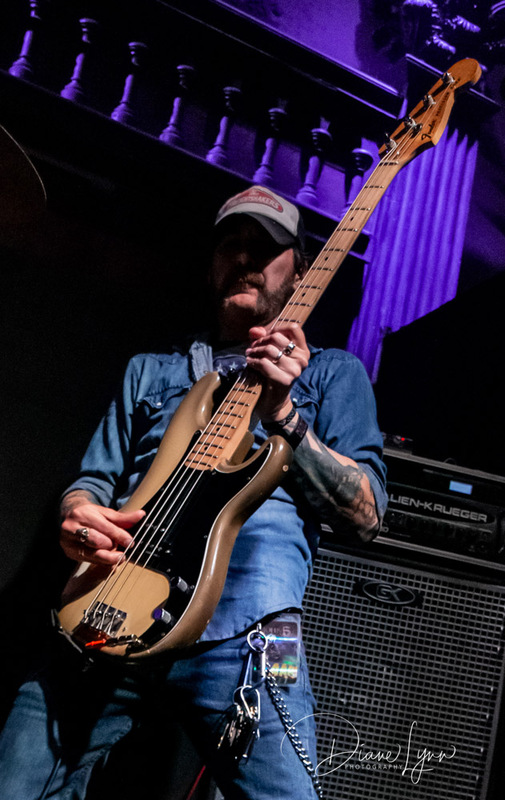 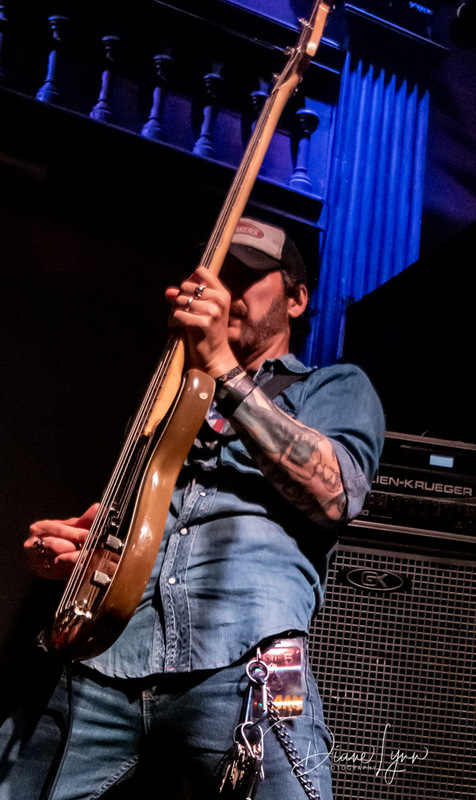 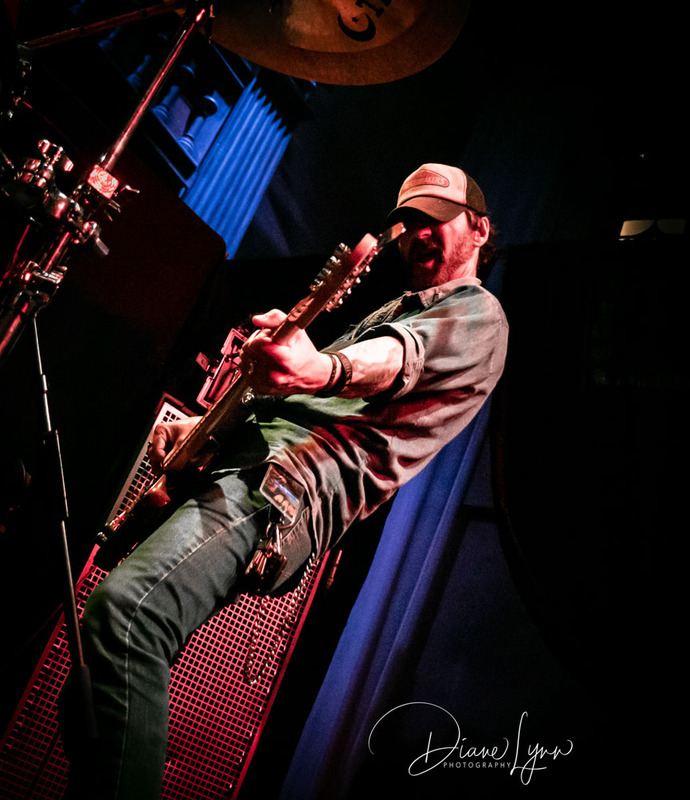 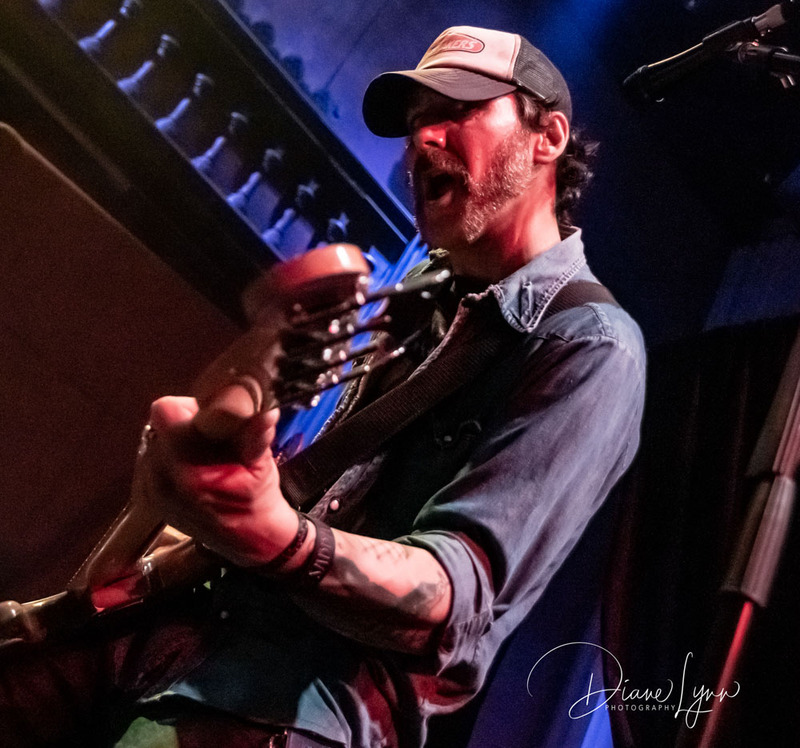 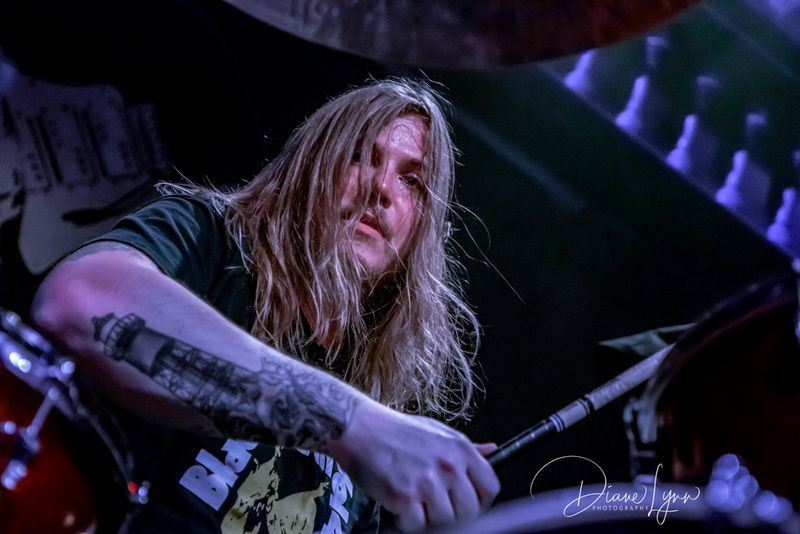 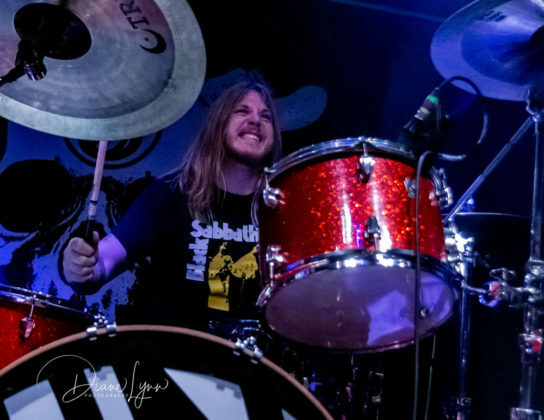 Jared seems to be a very busy guy; he has a couple guitar workshops schedule at Guitar Center, and it looks like he’s headed to Spain at the end of the month for a couple of dates. Check his Facebook page for appearances and concert dates. 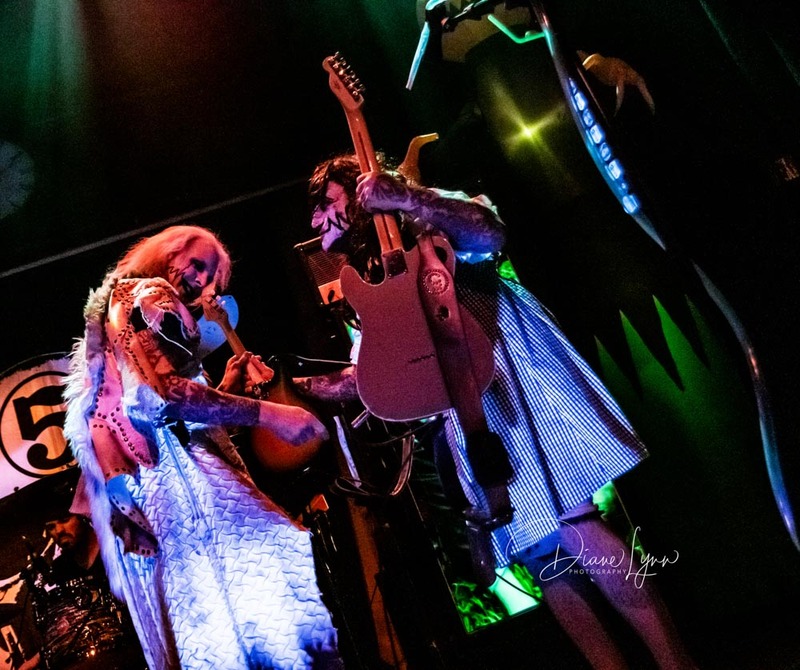 First up on the stage tonight was Dead Girls Academy. This was one of those openers that surprise the hell out of you. A few people I talked to before the doors opened didn’t know much about this band but by the time their set was over, we’re likely to not forget them. 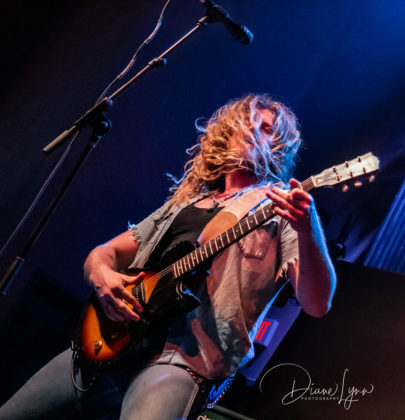 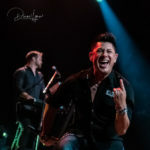 A young group of musicians with the energy and talent to keep them rockin’ well into the future. 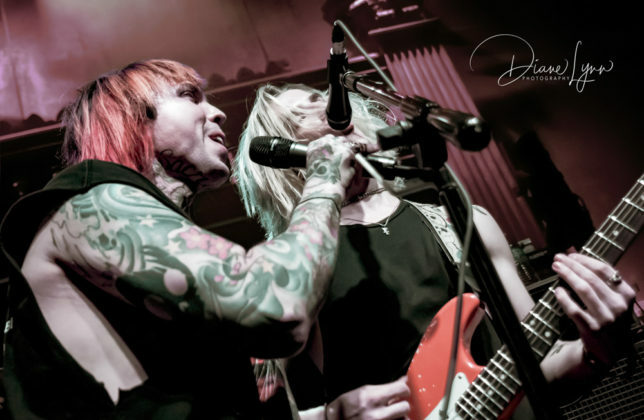 Coming together in 2017 they have already established a nice fan base. 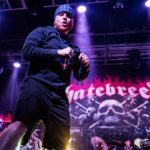 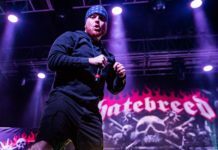 They have “Fan Pages” and “Street Teams” on social media with active followers that might make other bands a little jealous. 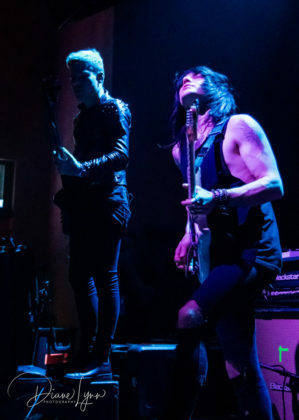 Their sound is listed as Rock but I think we need to add in some Goth and Punk to that mix. 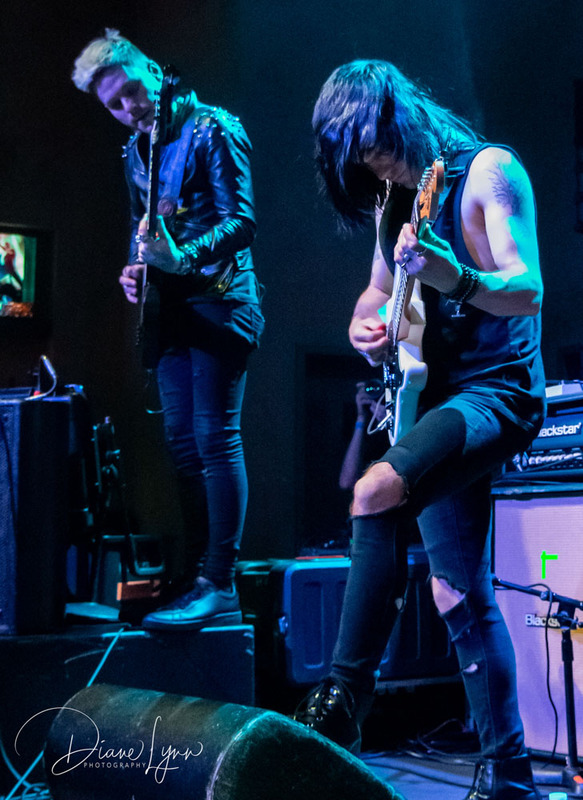 I loved the music they played, they worked the stage like veterans and drew the crowd in with their sound. 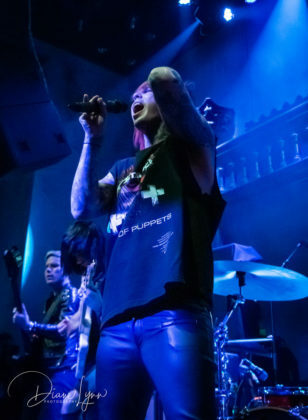 I’m hoping to hear more from this band in the near future. 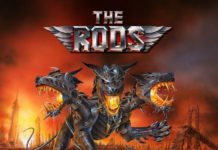 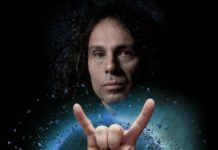 Previous articleNews: THE RODS To Release “The Brotherhood Of Metal” in June!